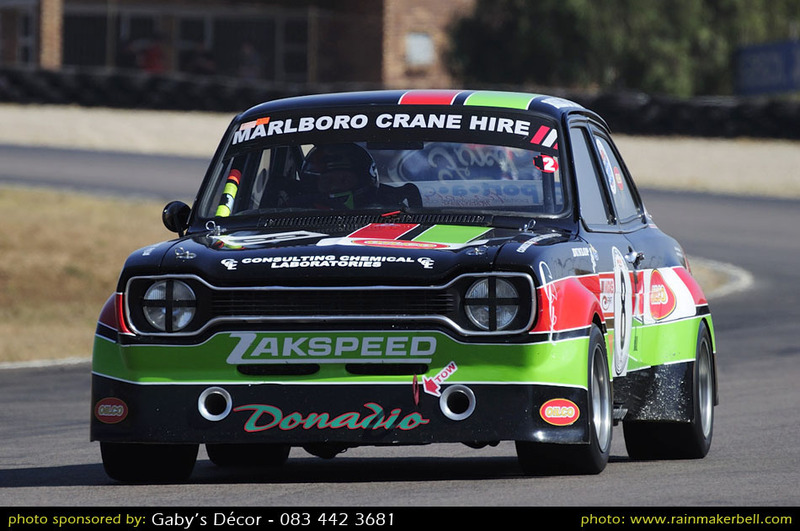 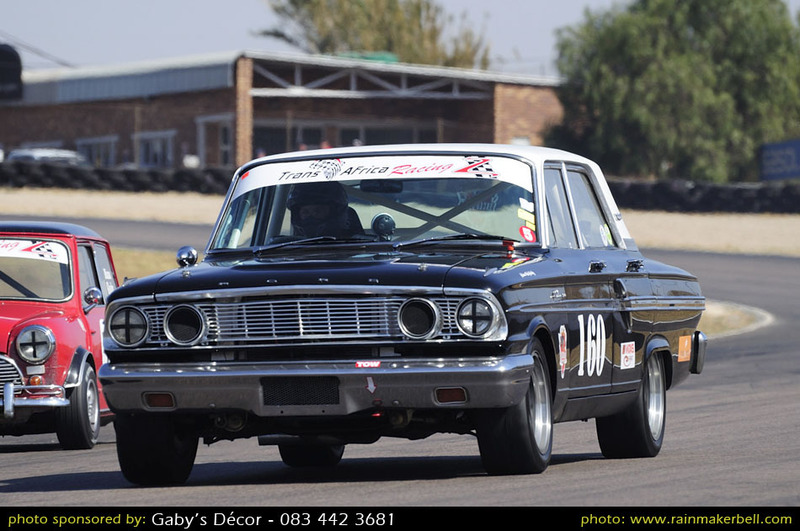 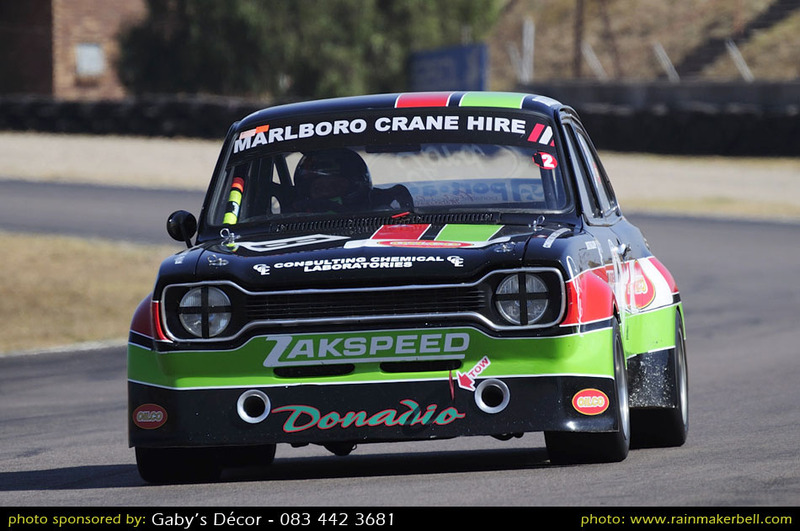 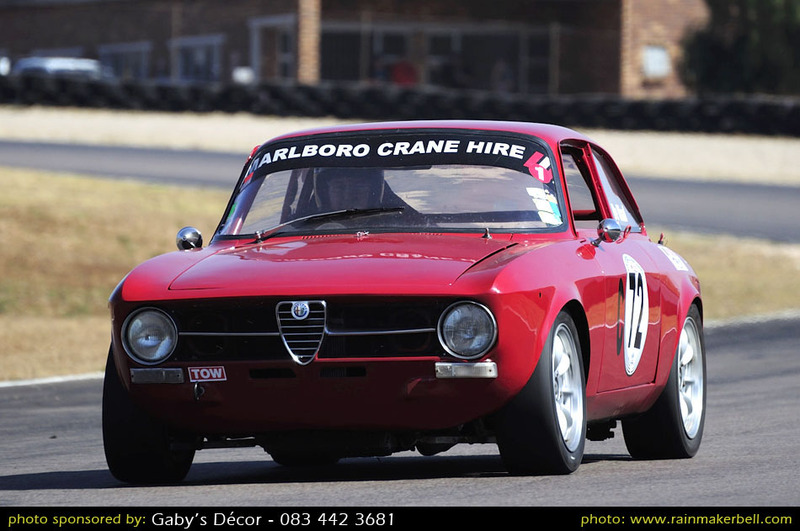 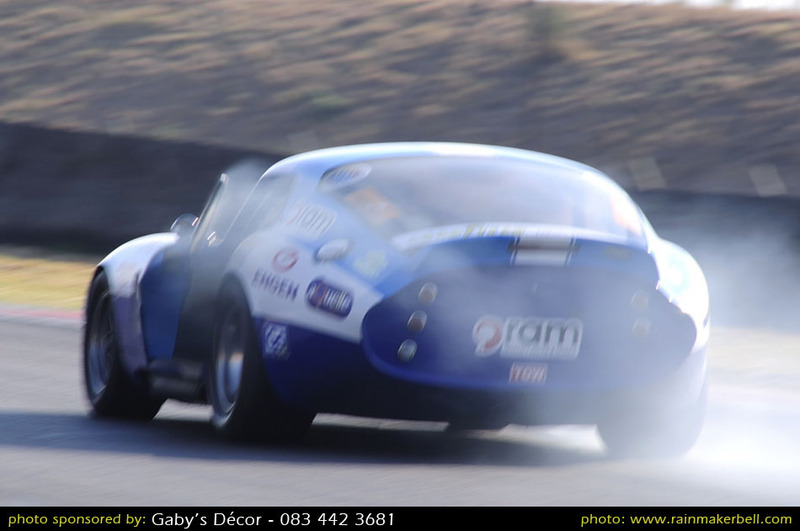 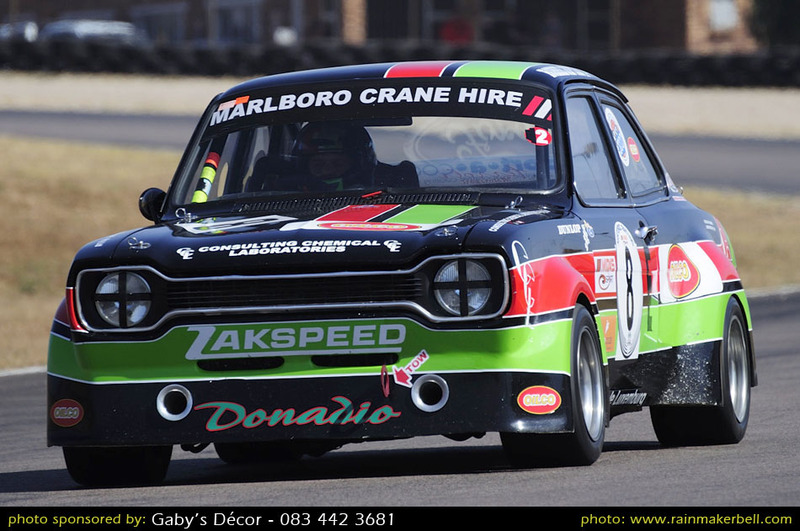 At the Zwartkops Aces Café, the aroma of quality coffee filled the air. 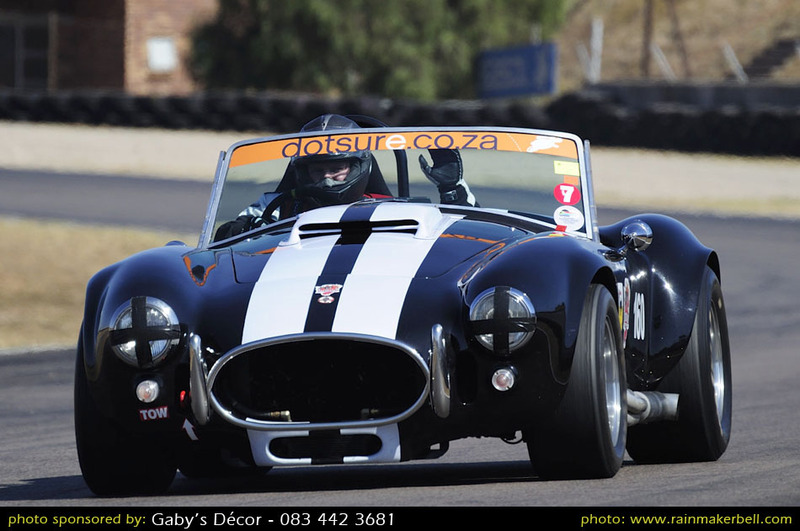 I ordered a cuppa; the best way to start the day. 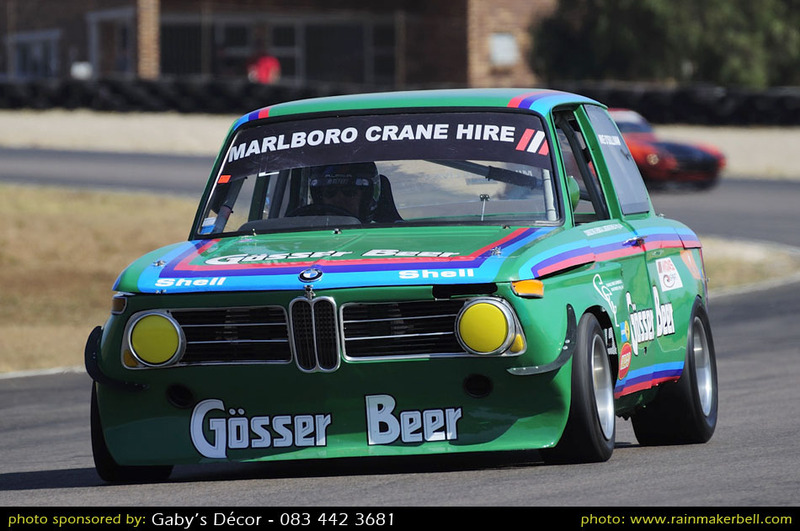 Not that I’m a coffee-aficionado. 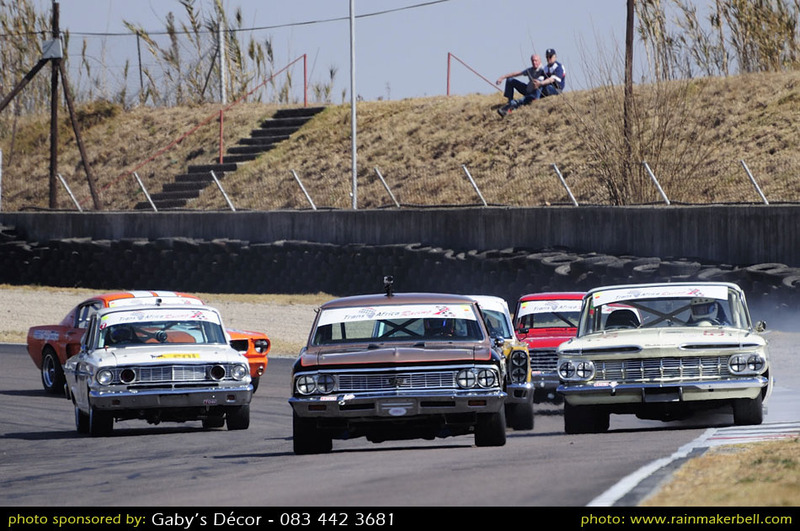 With my cup of coffee I sat down at one of the wooden tables with a 180 view of the Zwartkops pit complex. 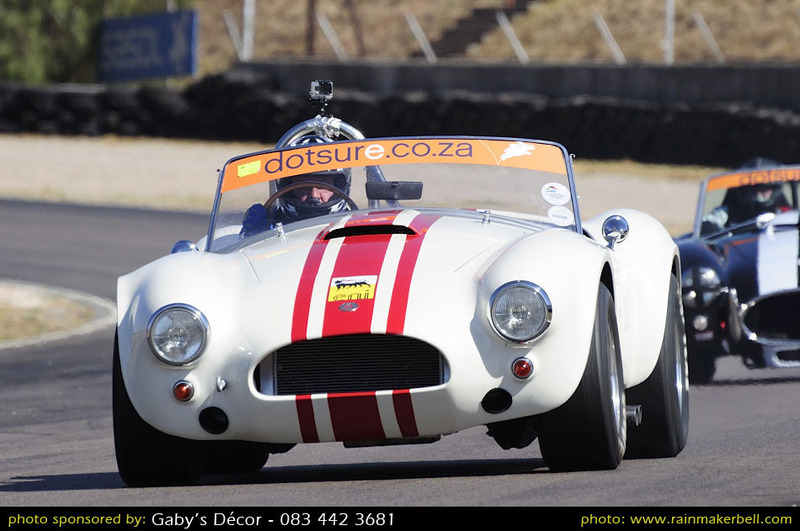 Across from my perched view, a young woman in her twenties is unpacking fire extinguishers—FOR SALE. 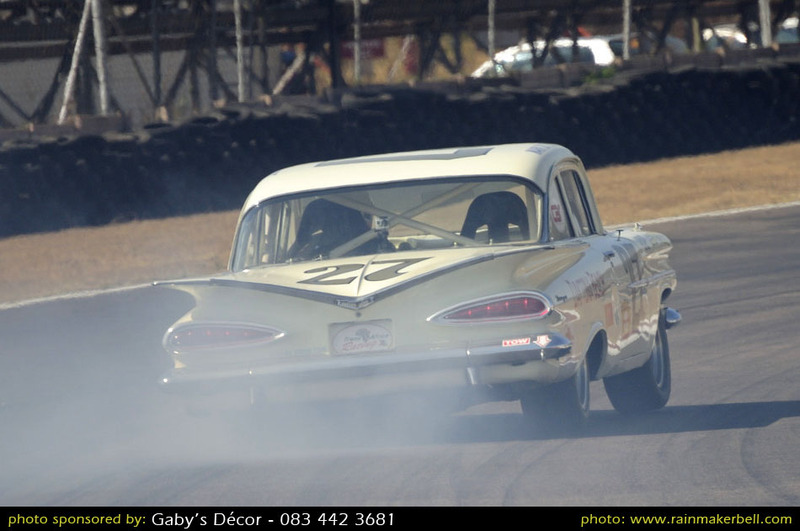 Every now and then she would inadvertently reach for her midsection and pull up her full bodied stockings, then her hands would move down over her backside pressing out the creases of her jet black dotted dress. 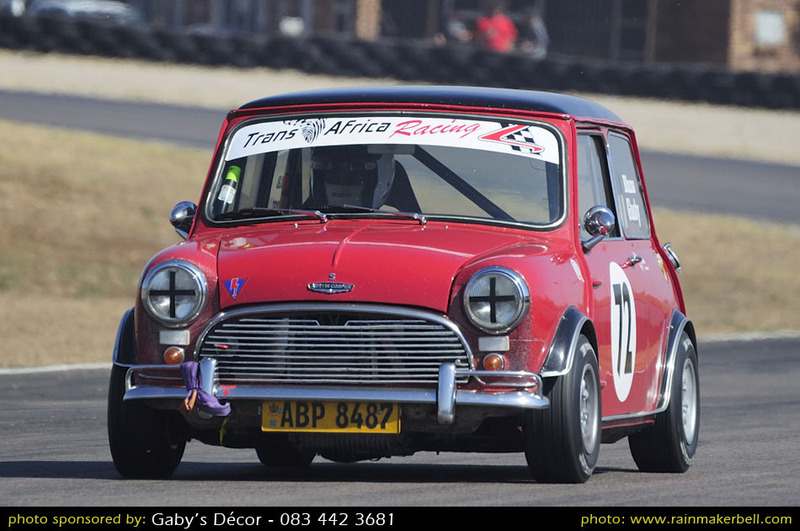 From the look of it, she felt out of place, uncomfortable in her outfit. 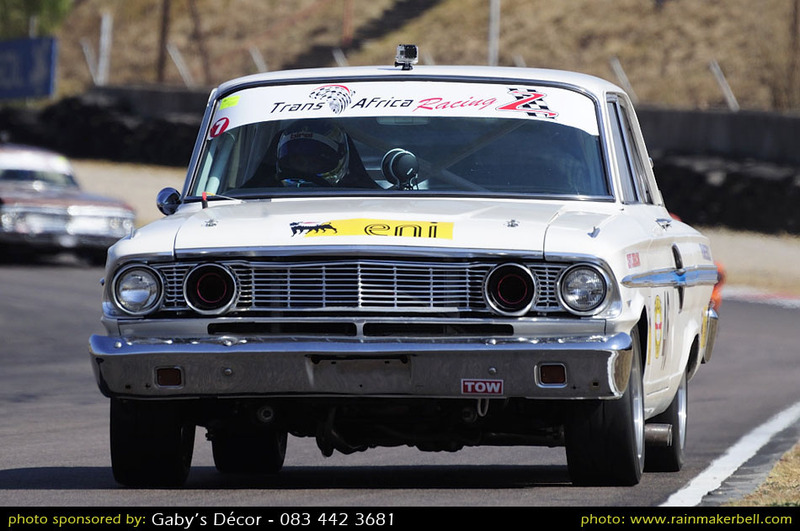 With her neat appearance she slogged through the day until the noon sun finally sent her home. 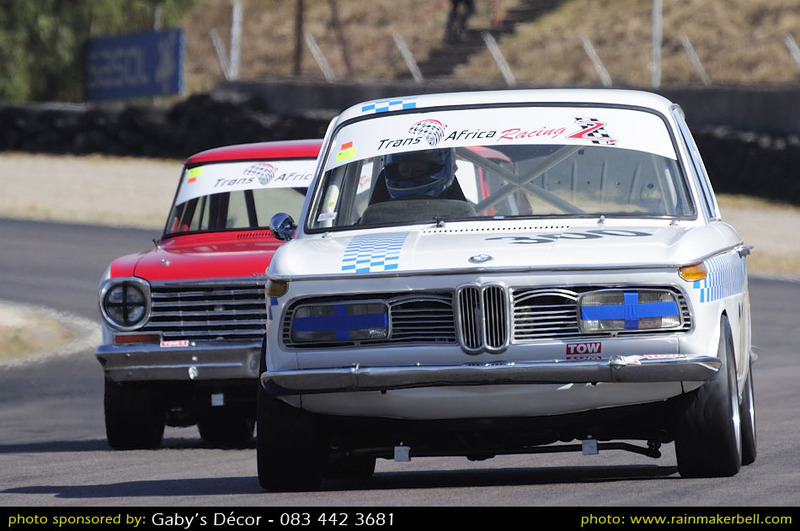 Out on the track, however, and completely at home, the TAR Pre-66 Legends of the 9 Hours Production Cars were having their 10 minute qualifying session. 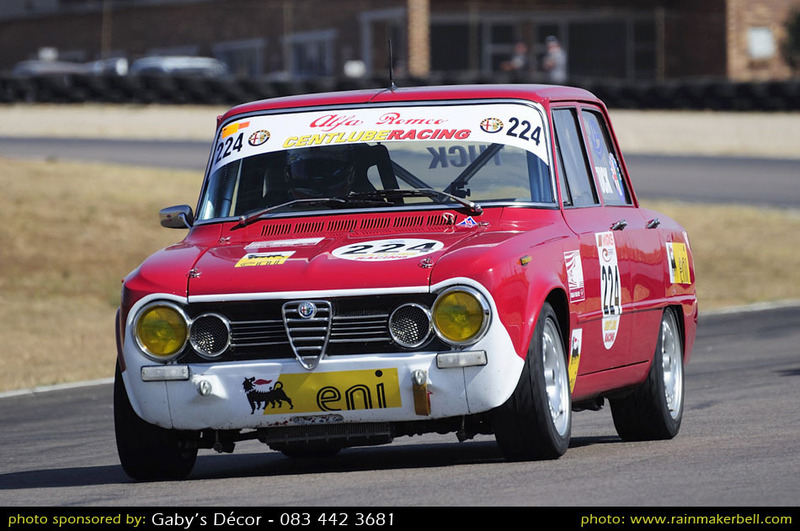 These relics were before my time, but they still attract a lot of attention—unequivocally. 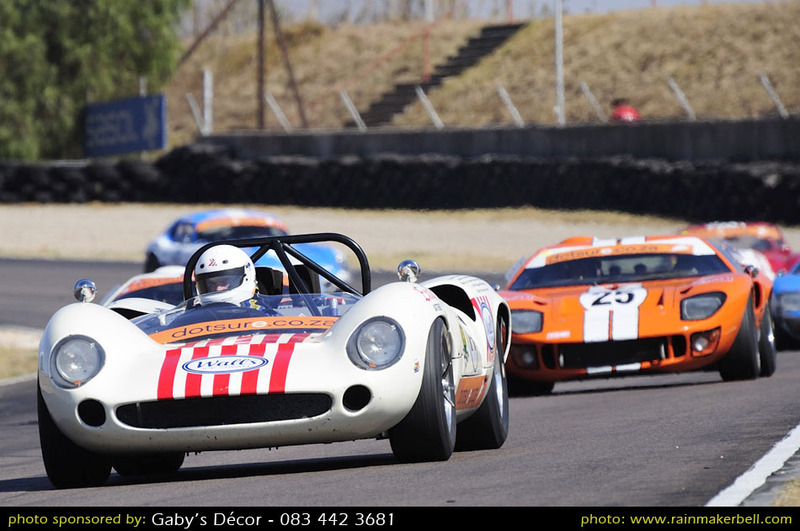 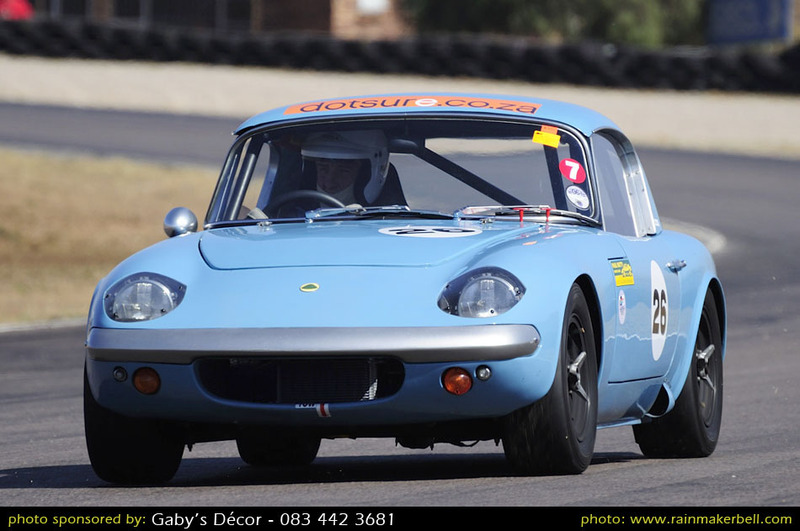 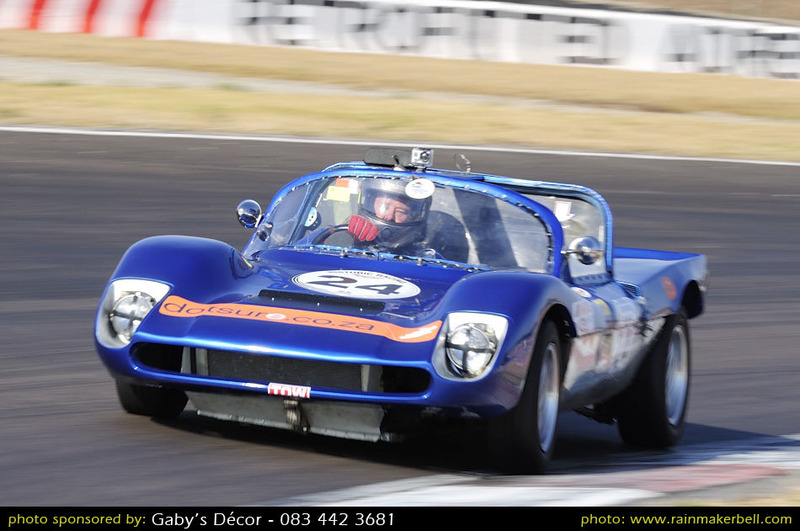 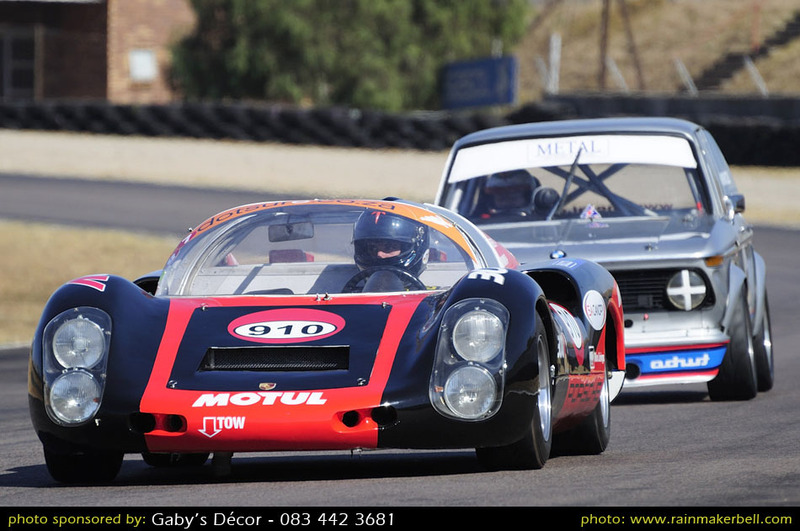 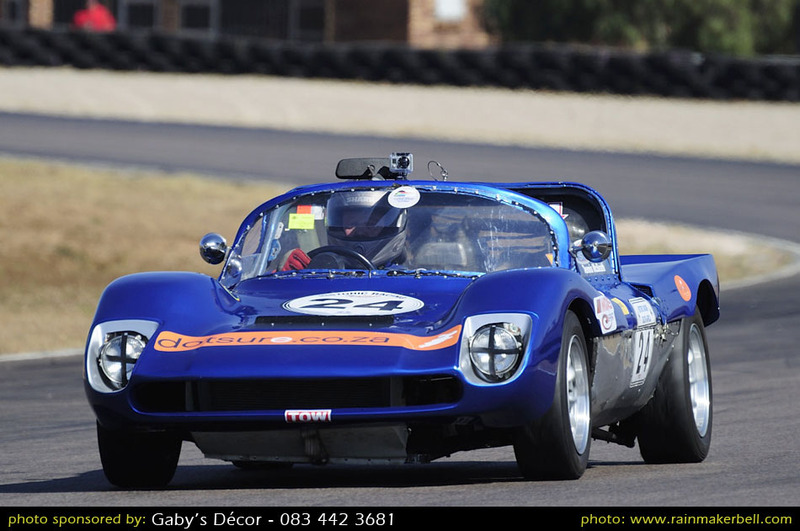 Approximately 250 relics (old cars) pitched for round 4 of the Midas historic tour. 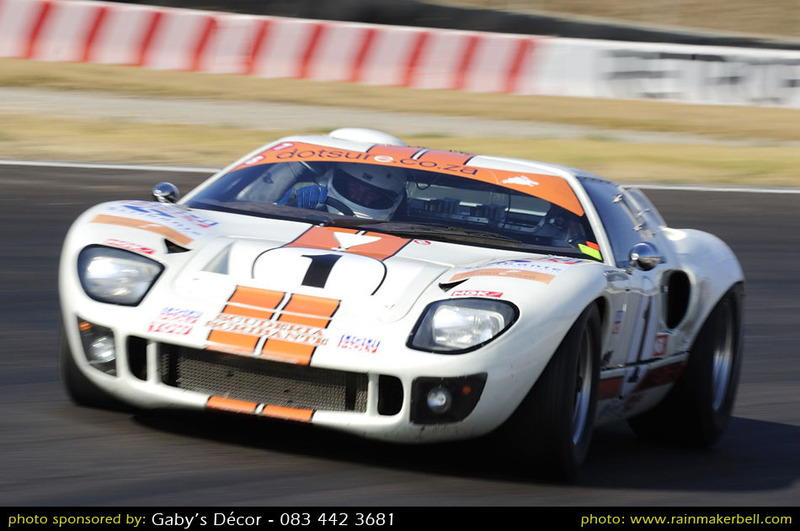 Well, I don’t think that all of these cars are truly vintage, especially not the Ford GT 40s, or even the Shelby Daytona Coupés ... 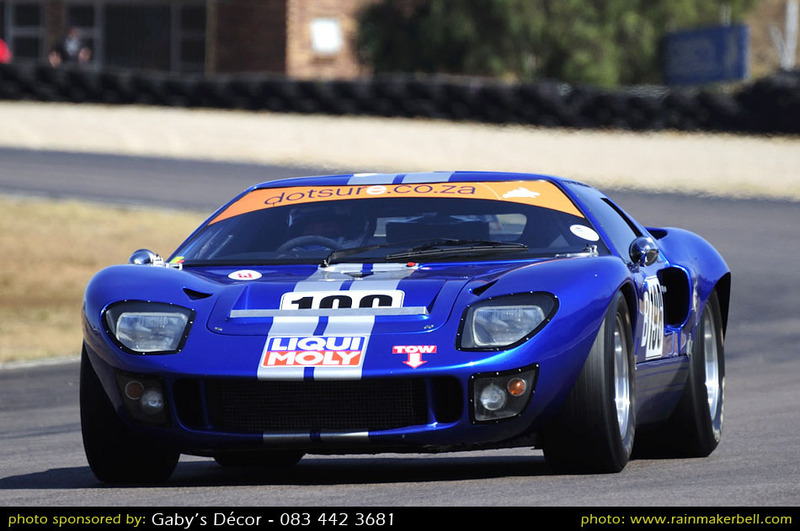 So? 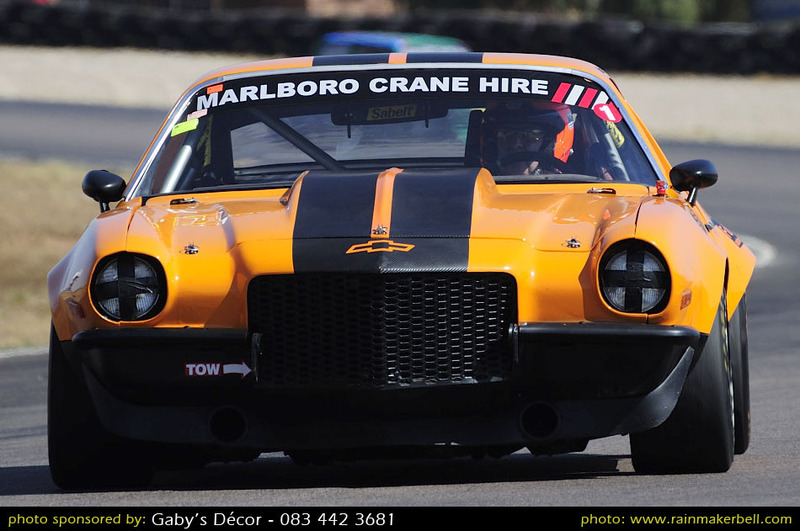 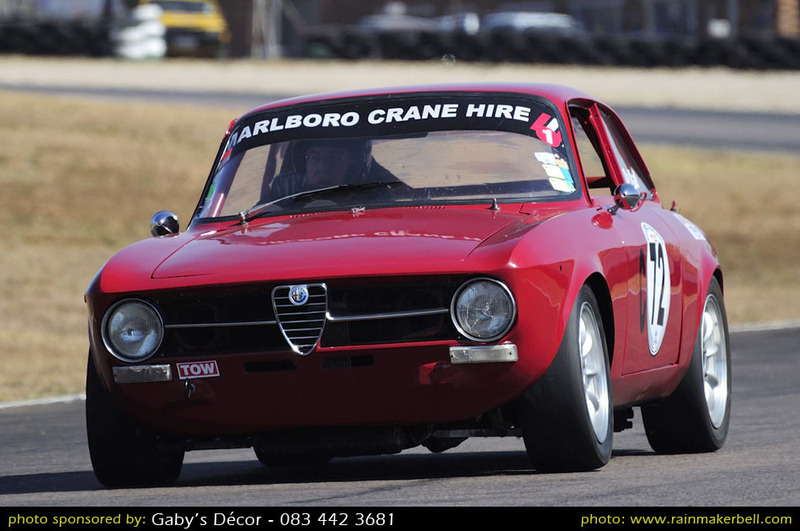 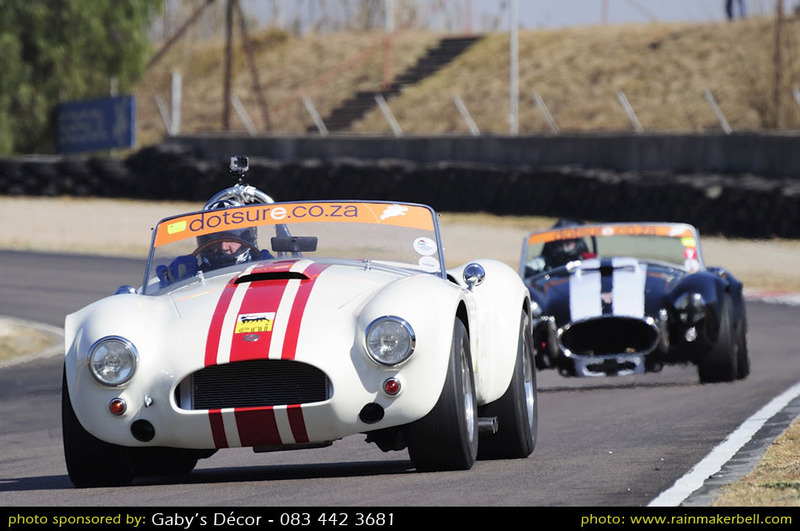 We were there to enjoy the day, the motor racing, and to relive history in motion. 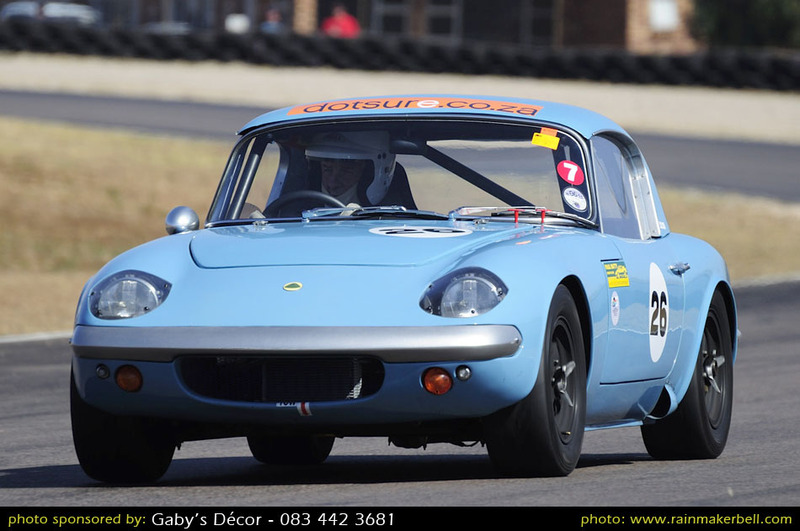 The race programme consisted of: Pre-77 Historic Saloon Cars, Pre 74 Genie ISP/Metal Used Spares Trans-Am/Pre 77/84 Sports and GT, Lotus Challenge, Formula Ford Kent, TAR Pre 1966 Legends of the 9 Hours Production Cars, Marque Cars, Pre-77 Saloon Cars and the TAR Pre-1966 Production/Sports and GT Series. 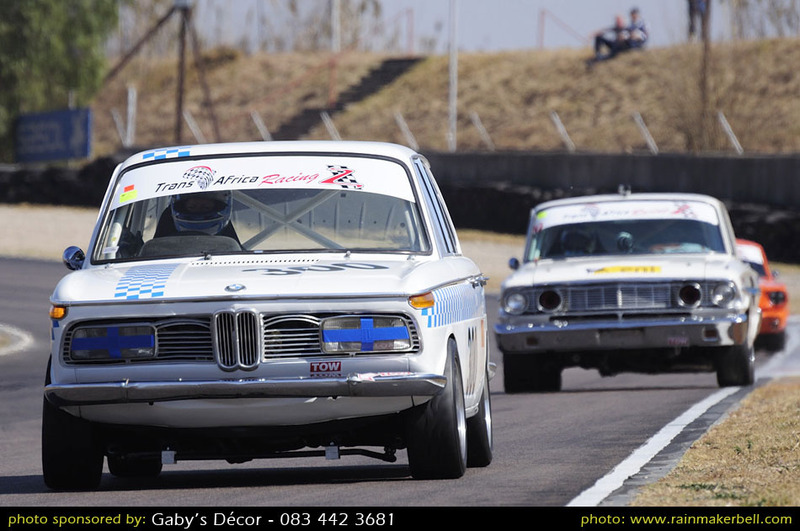 What a great historic line up, it made every penny paid for admission worthwhile. 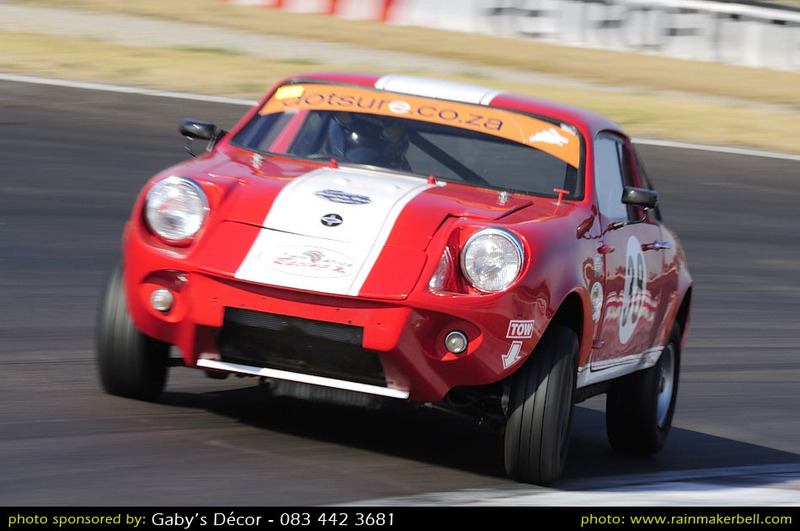 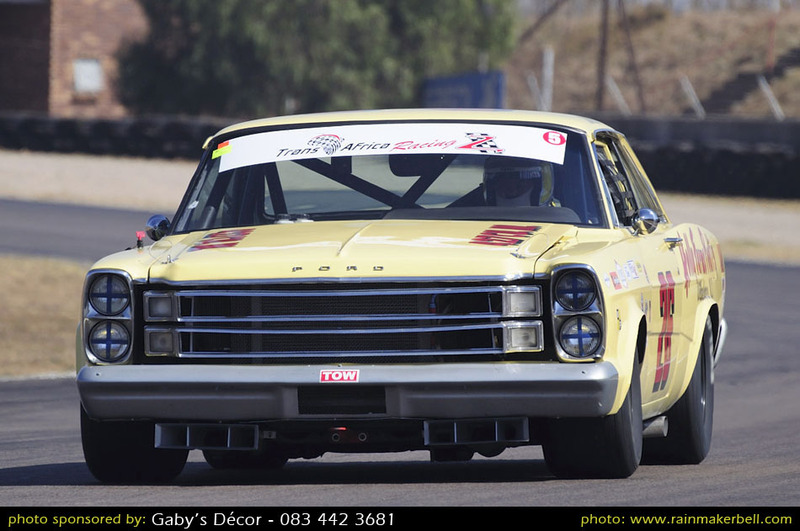 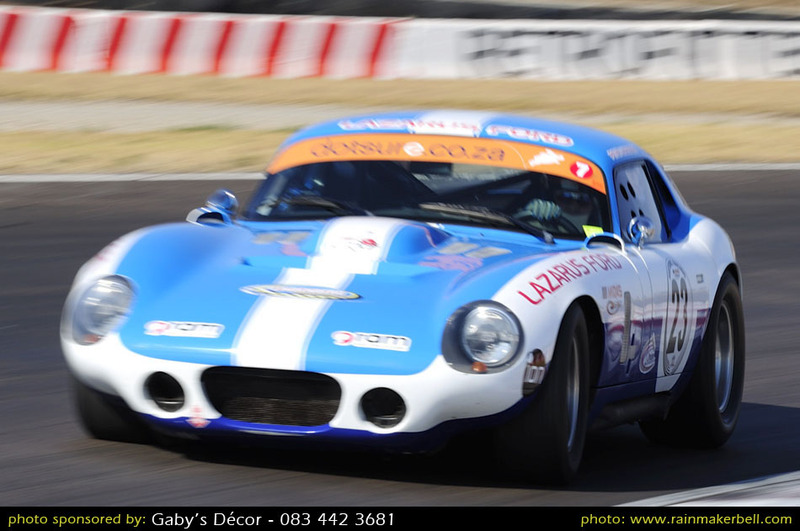 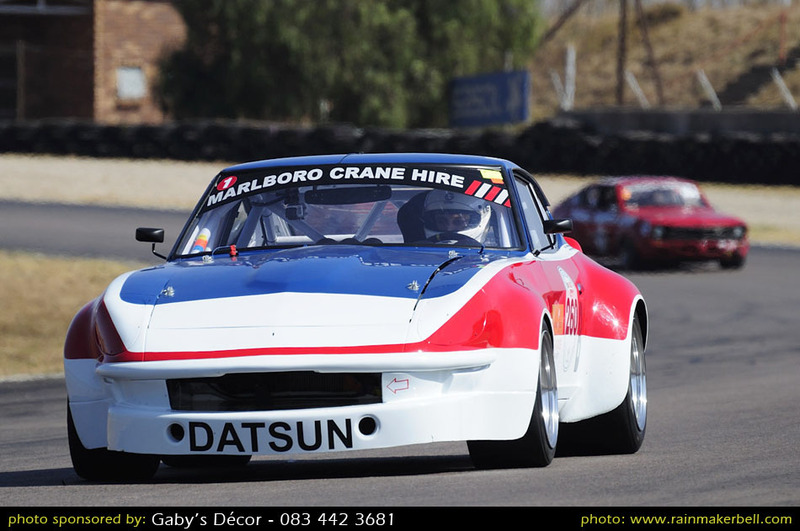 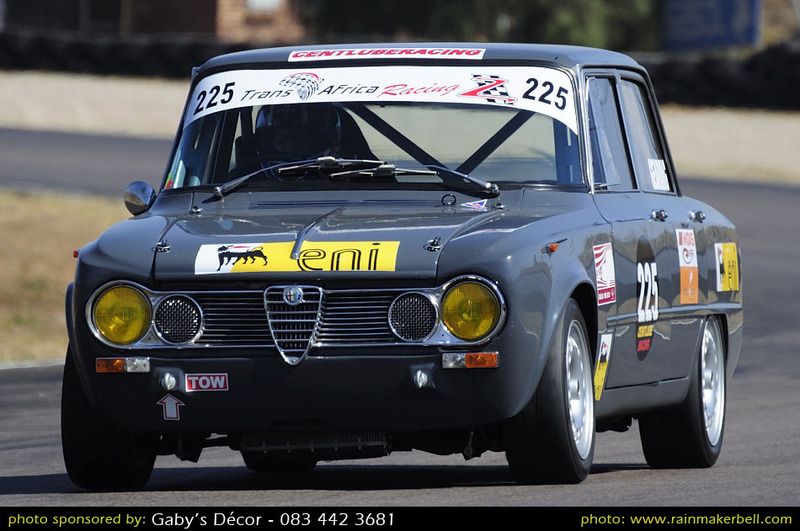 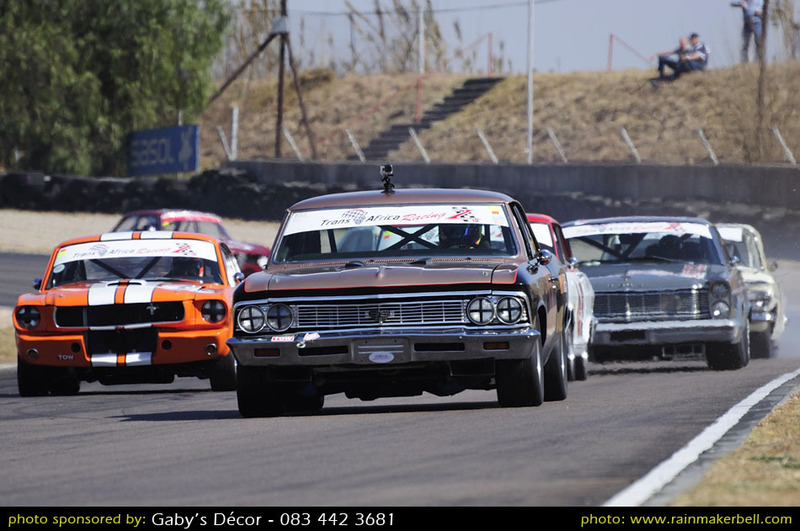 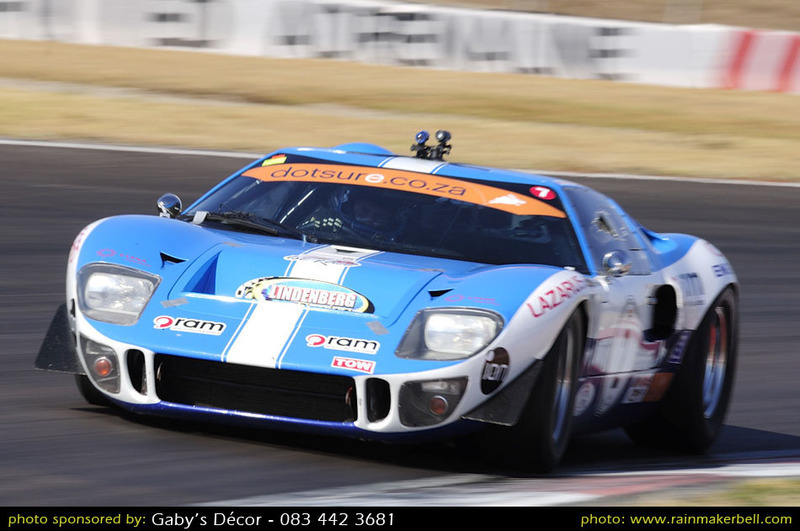 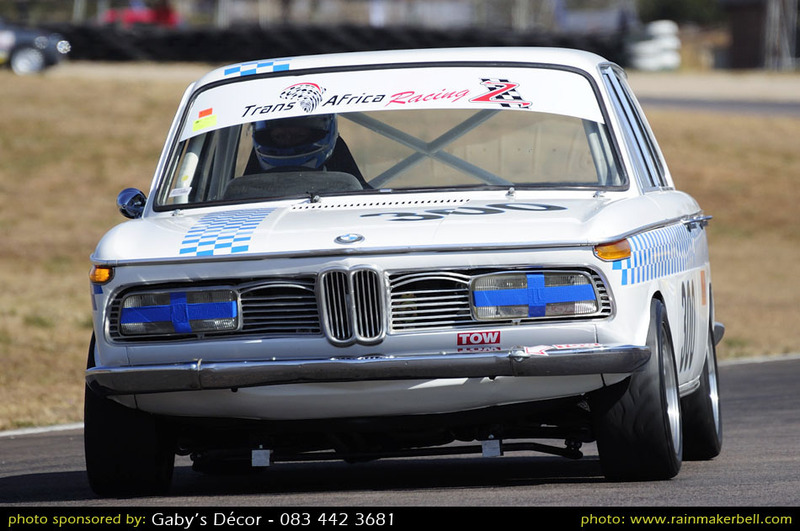 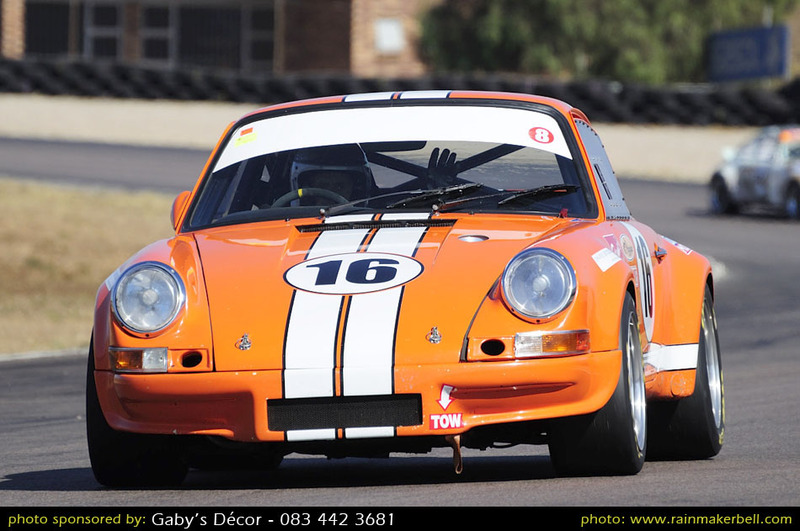 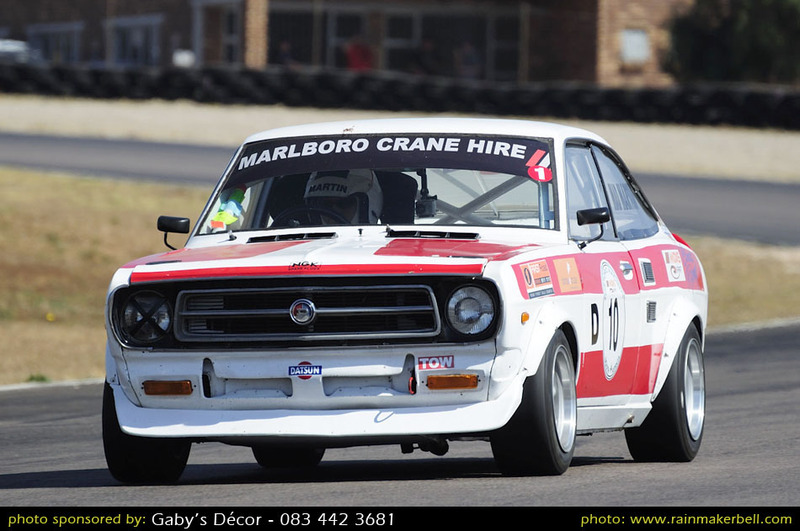 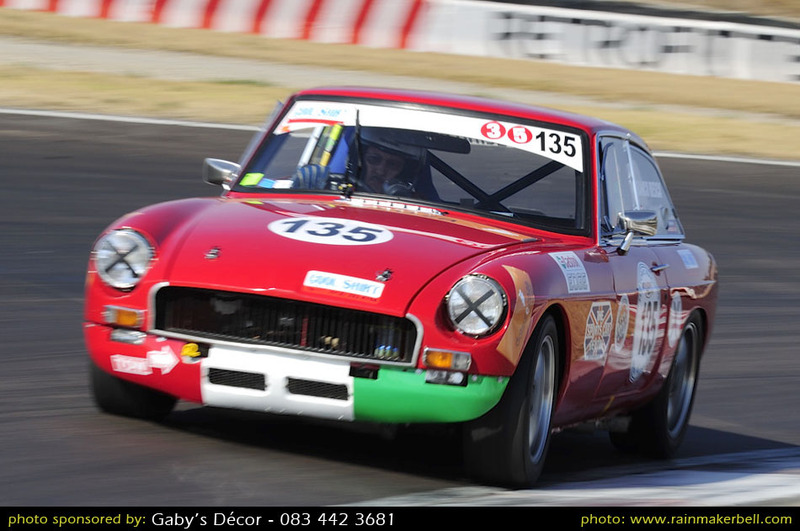 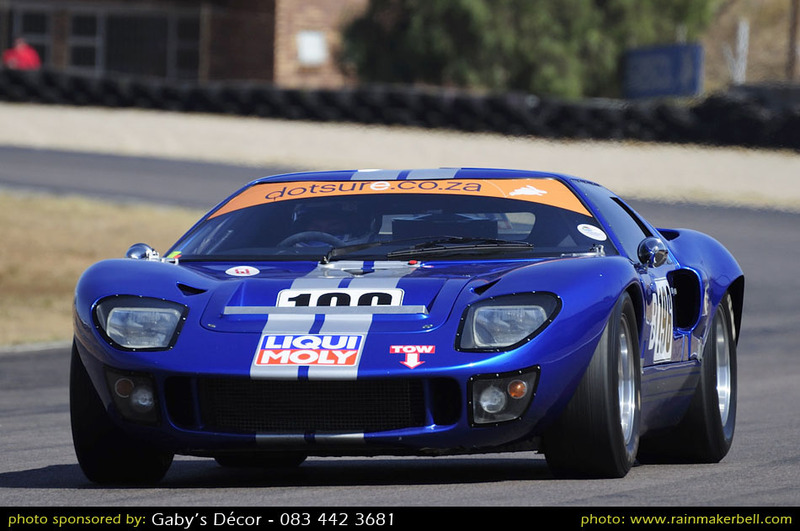 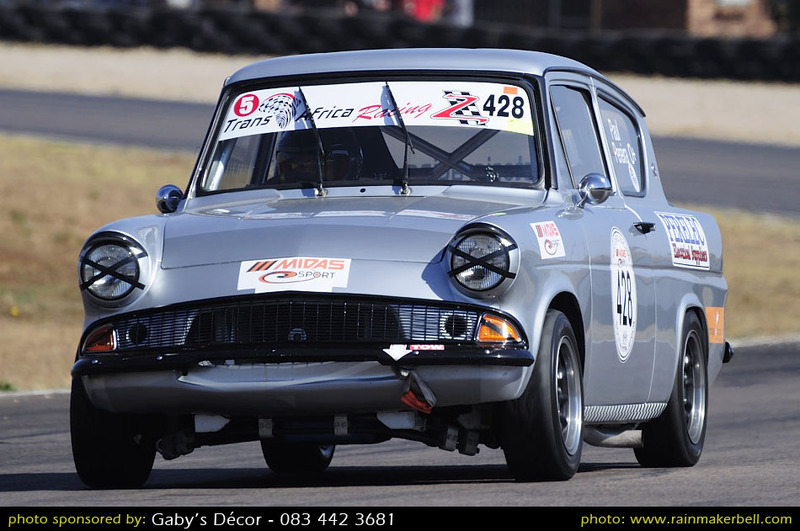 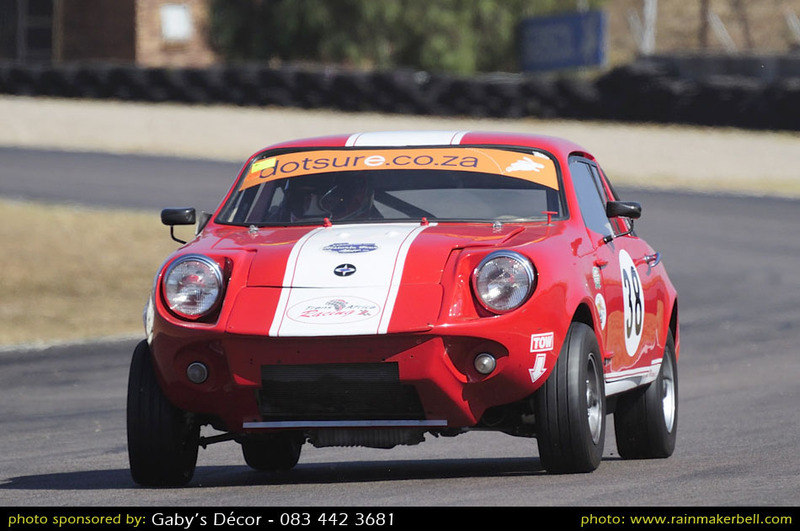 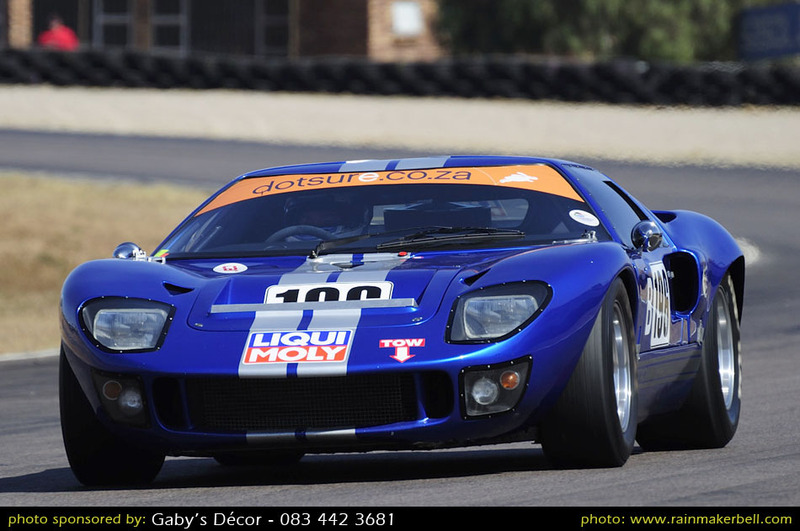 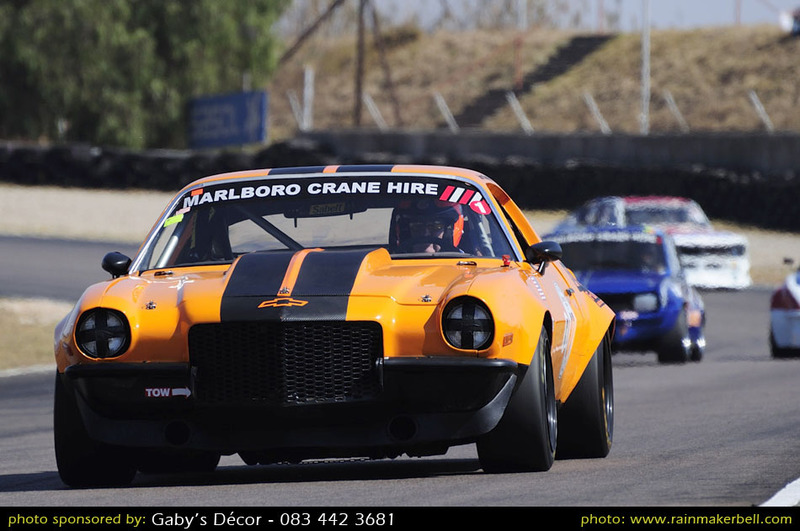 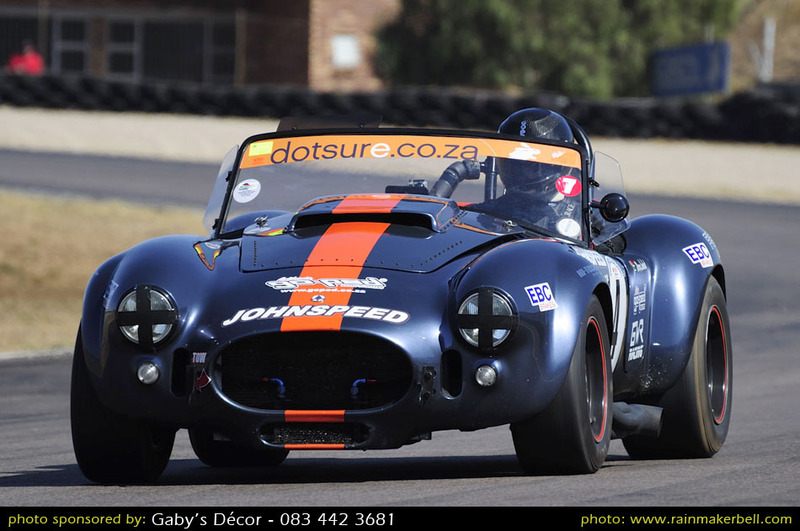 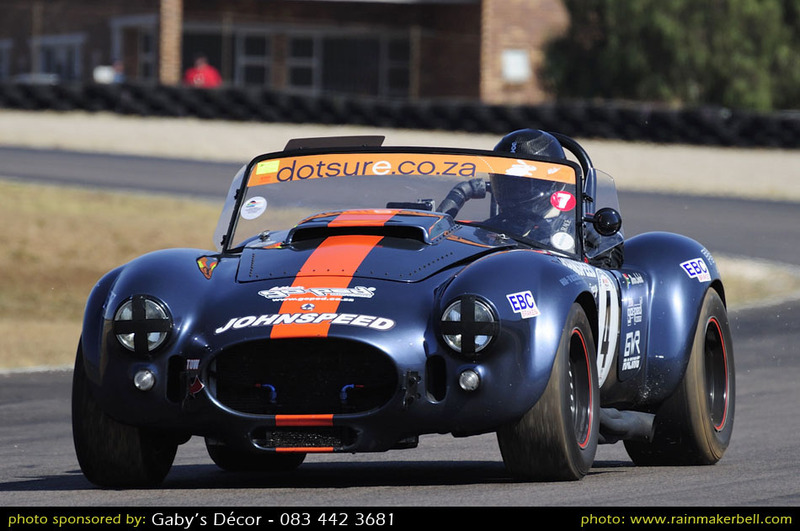 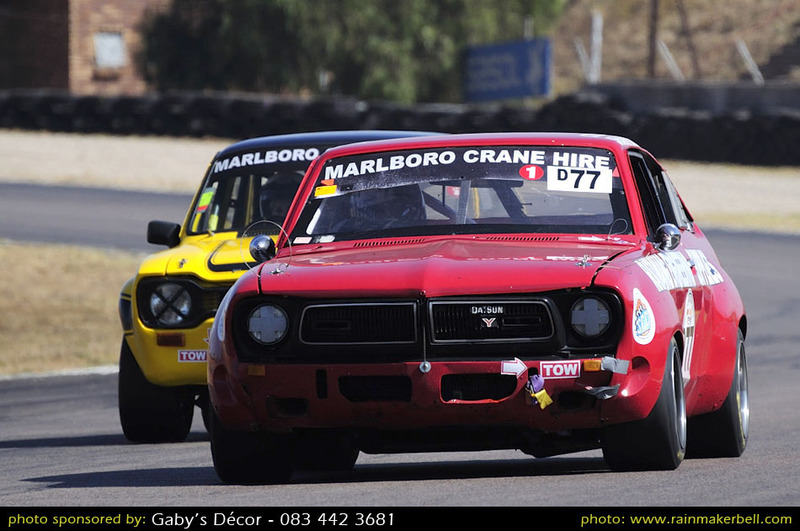 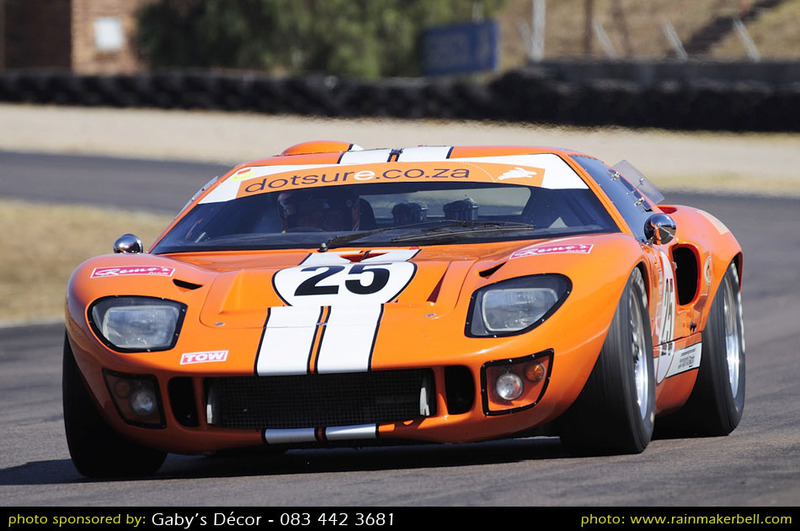 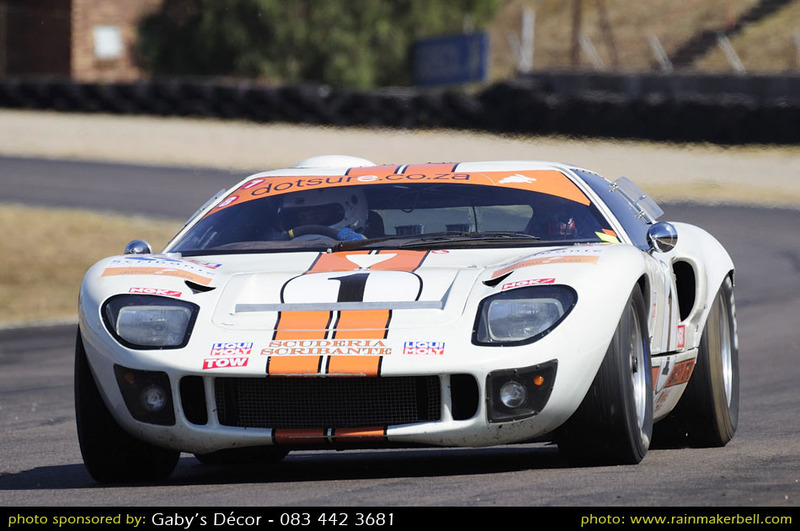 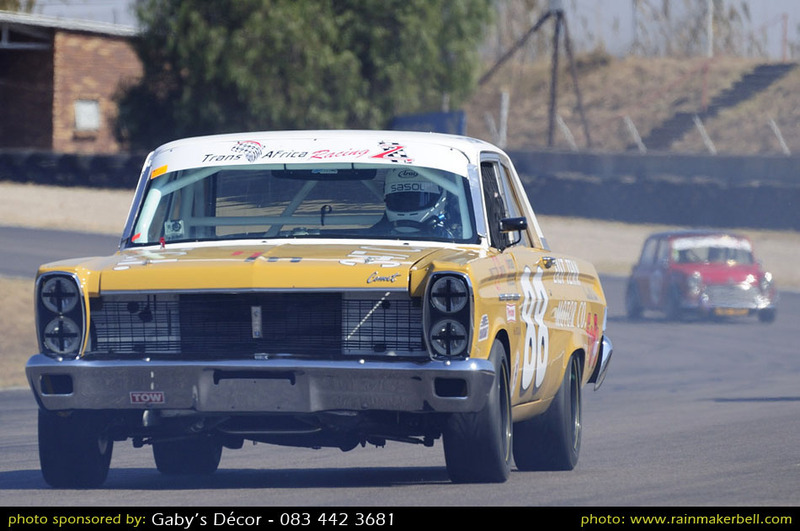 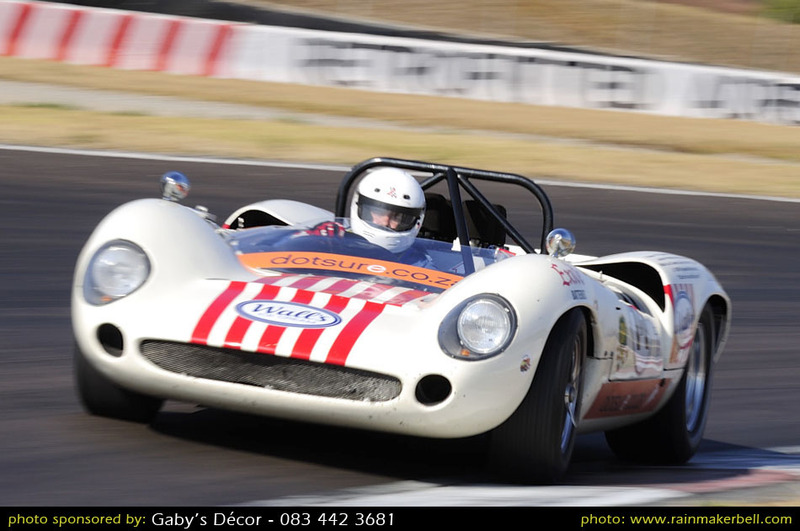 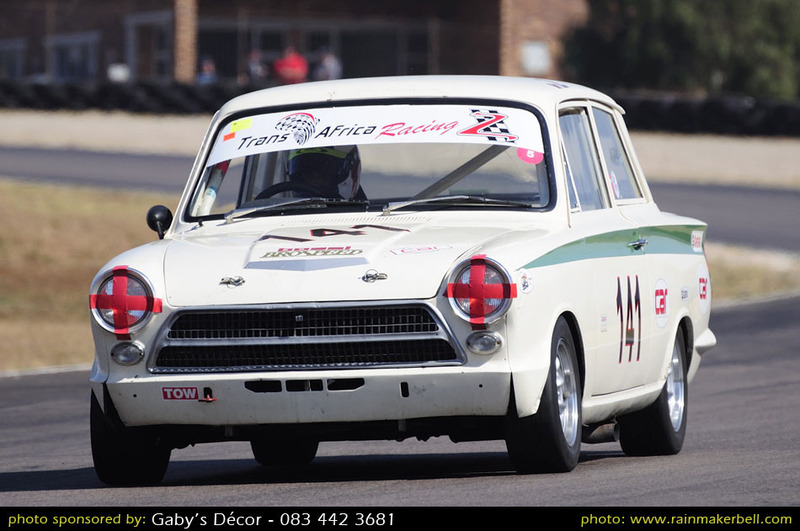 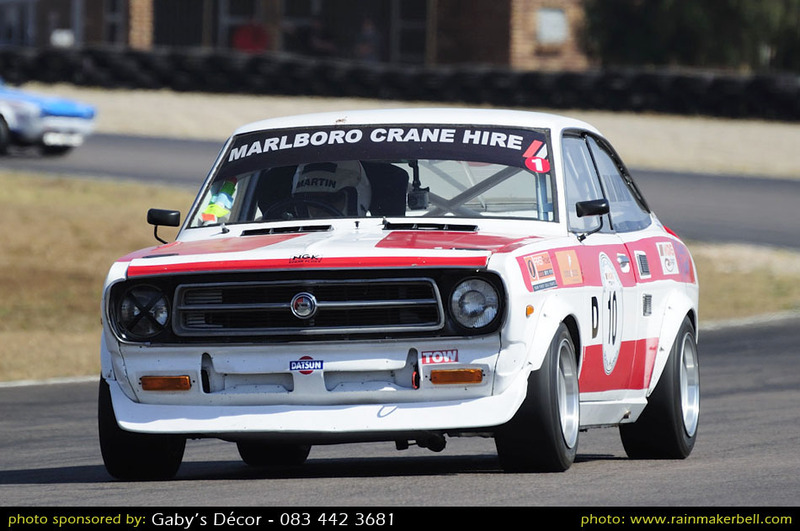 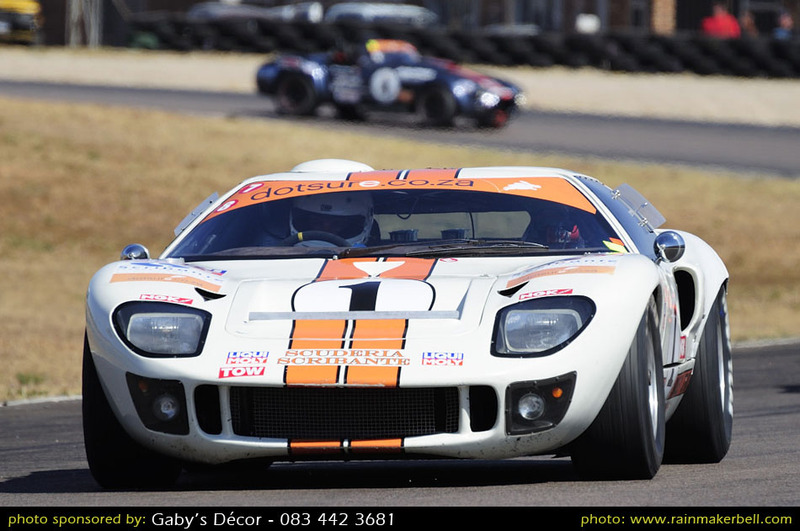 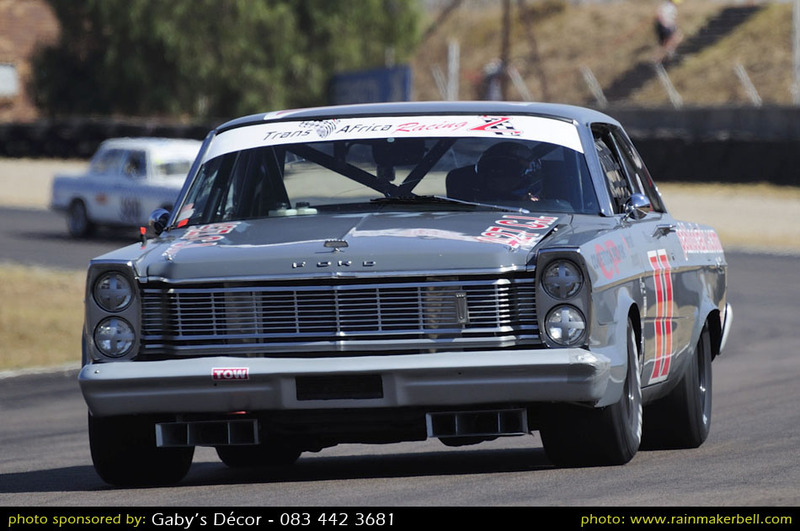 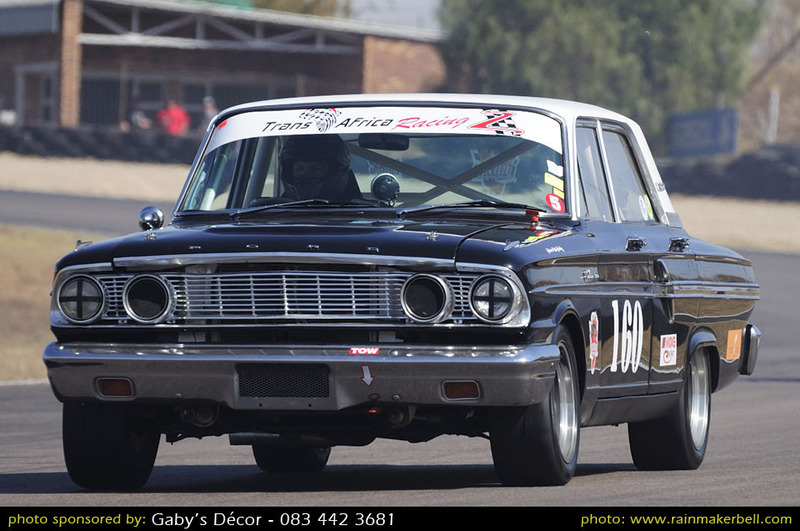 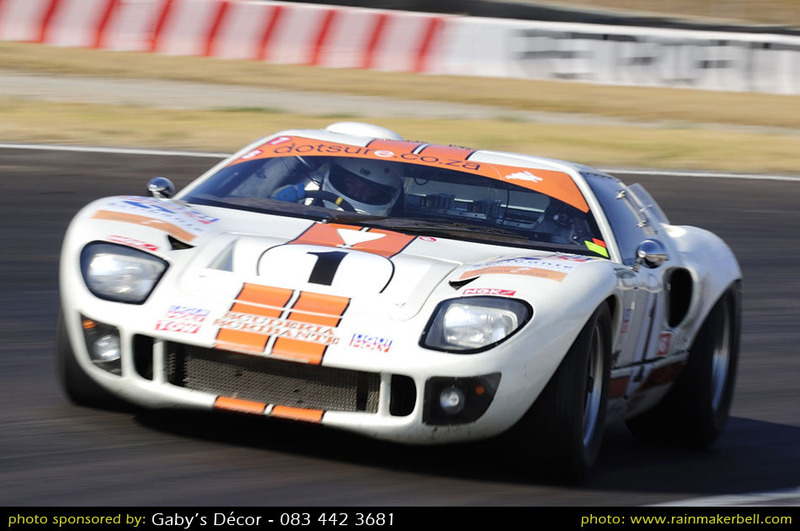 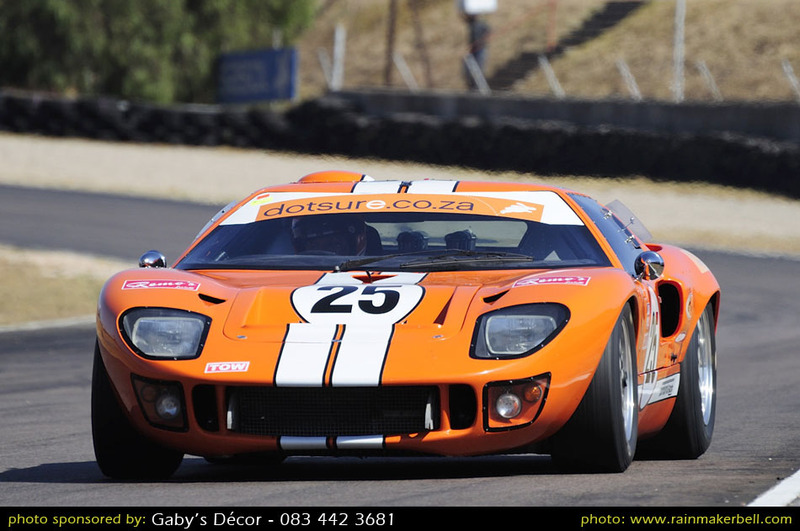 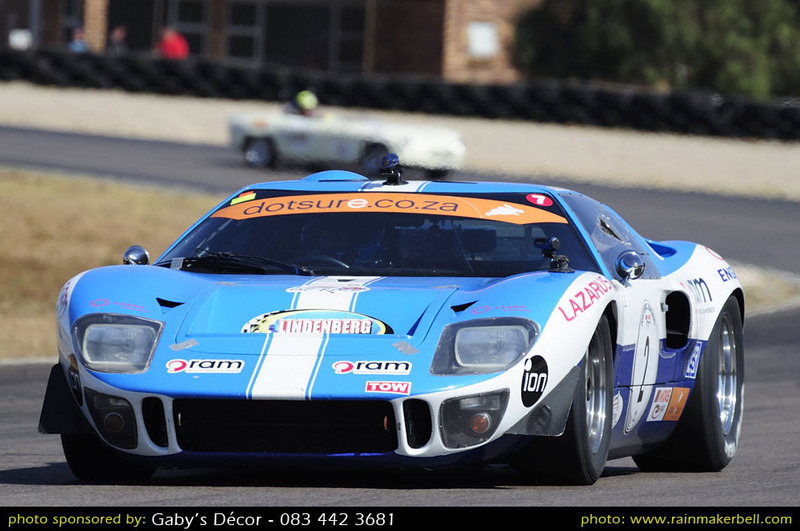 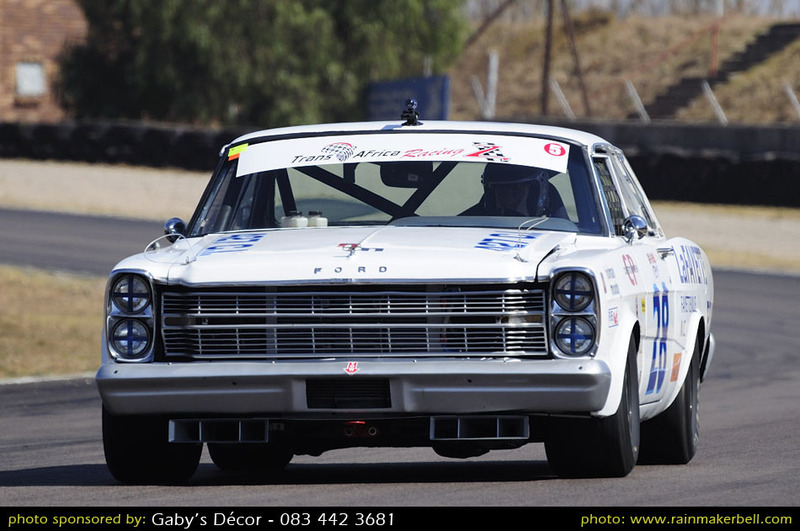 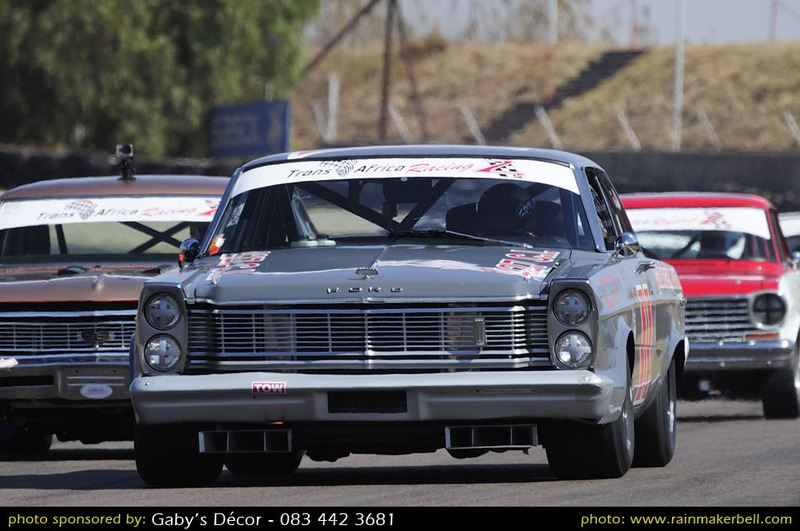 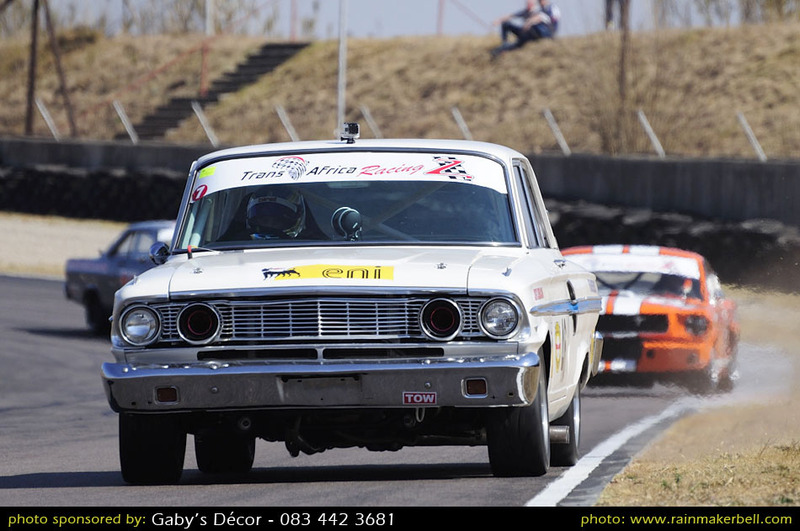 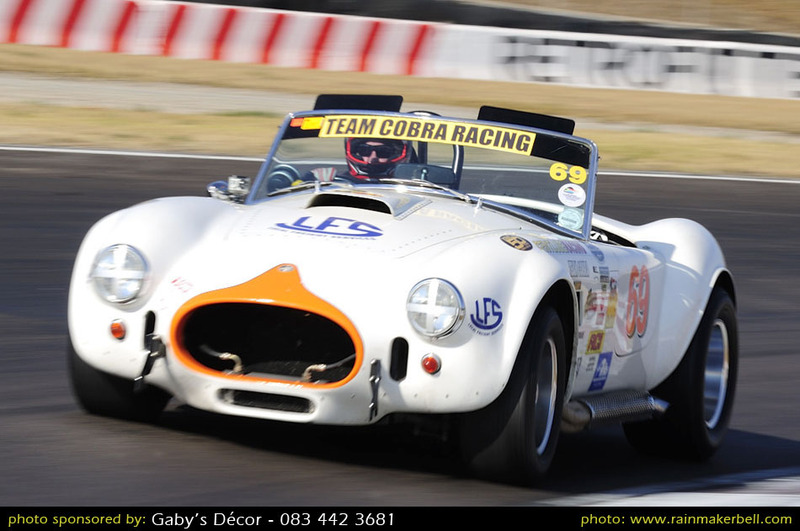 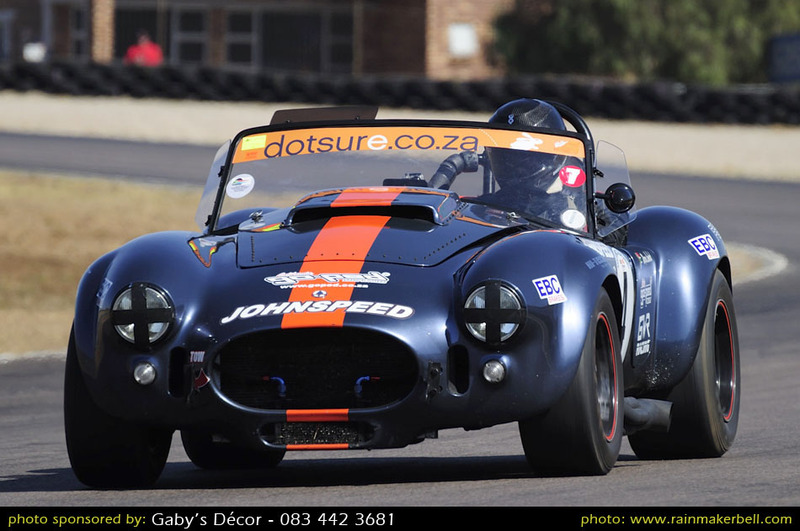 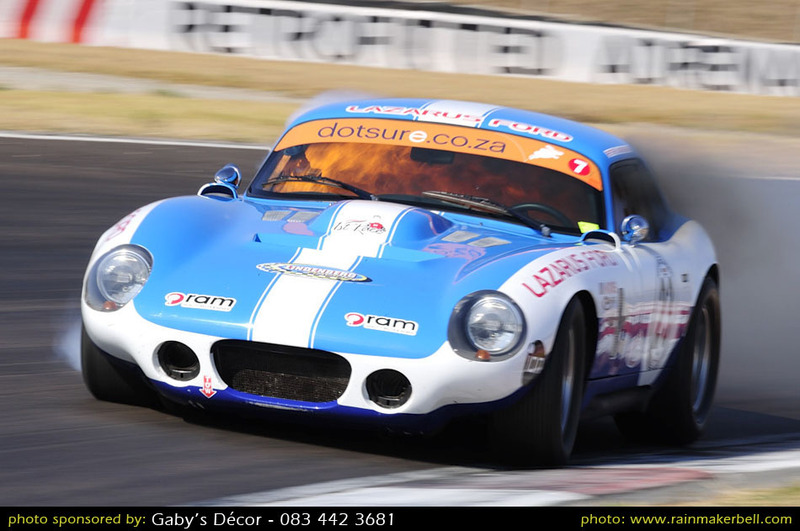 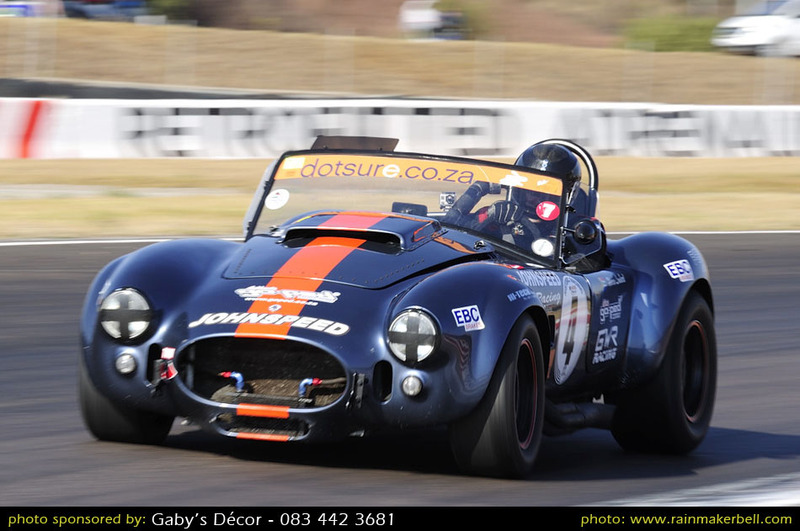 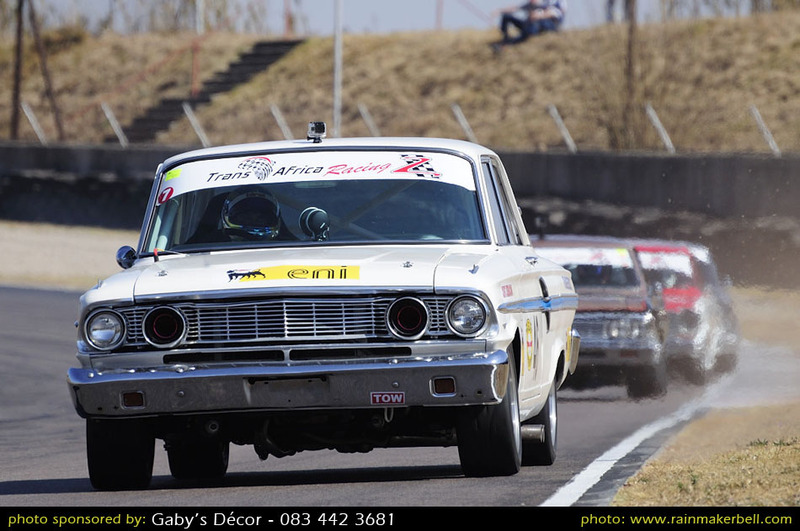 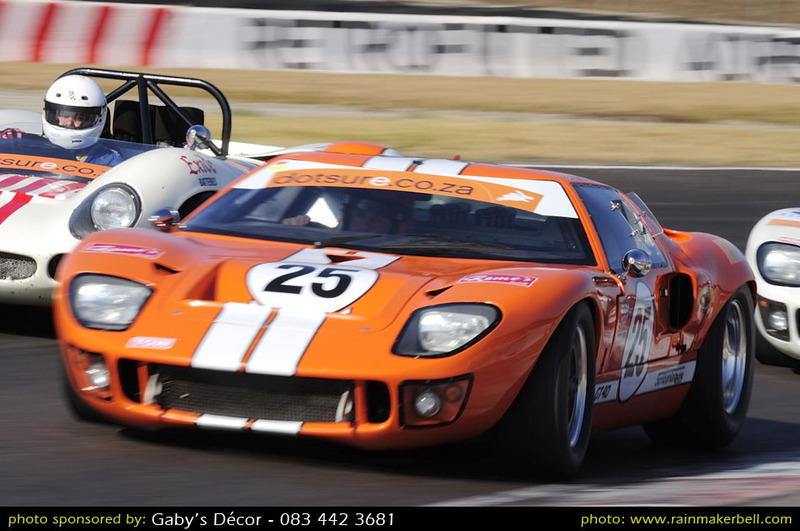 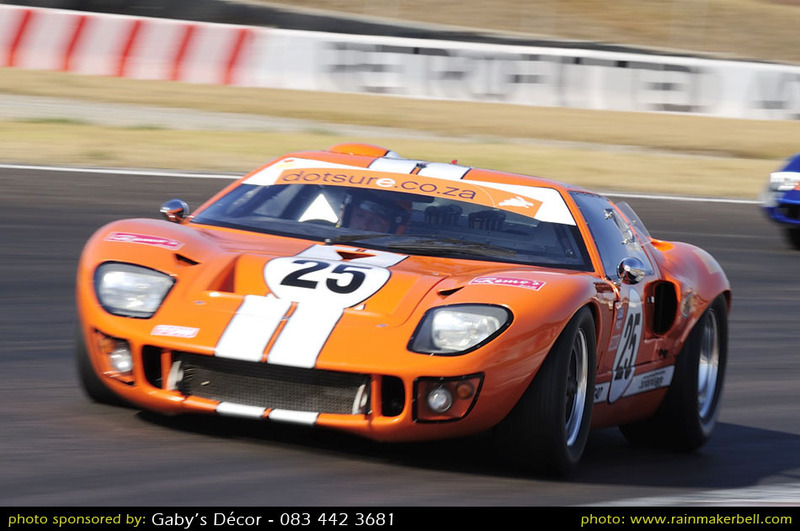 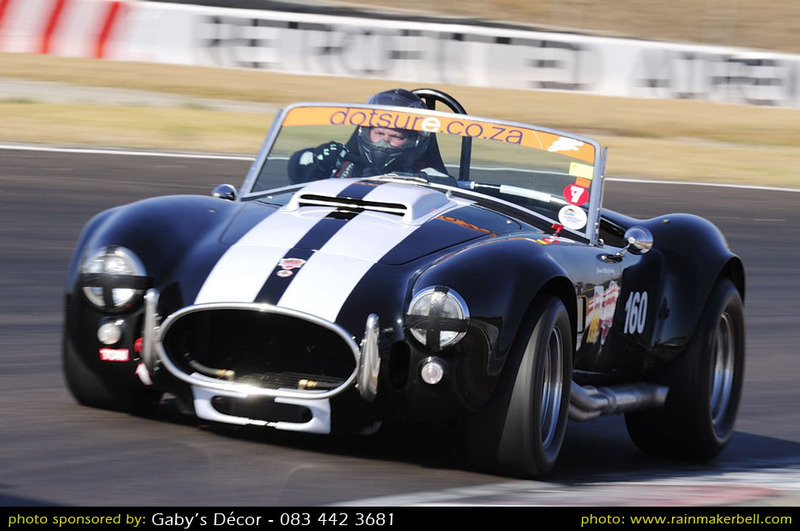 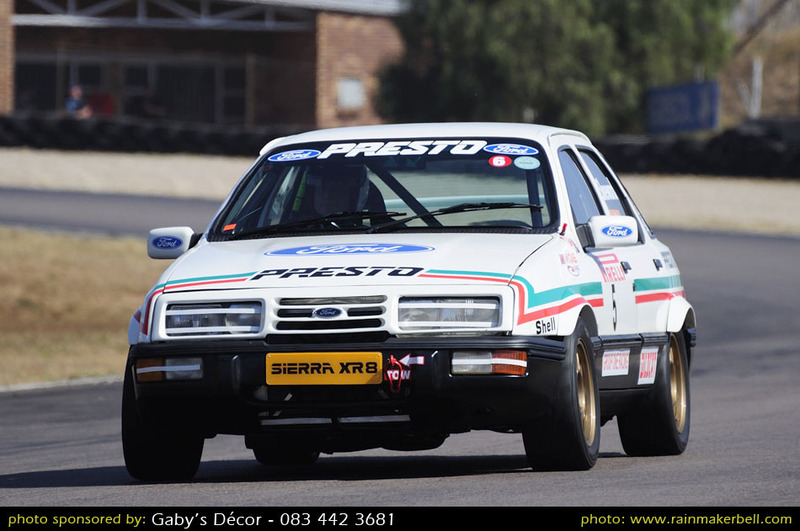 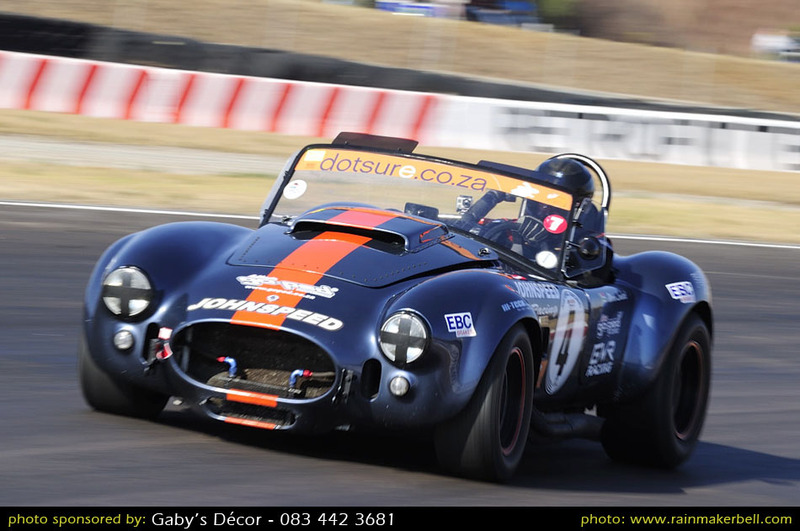 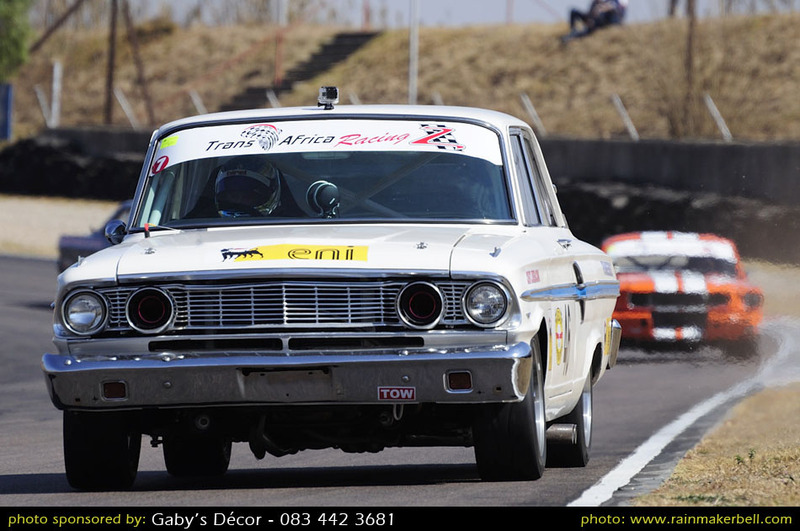 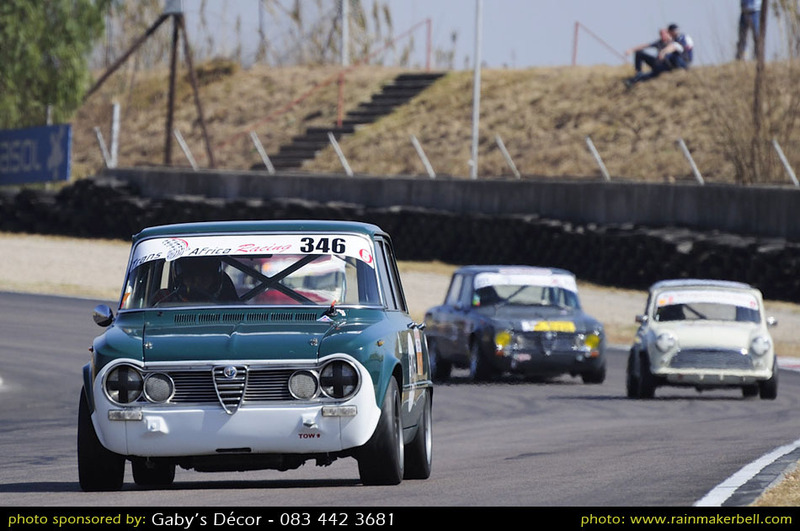 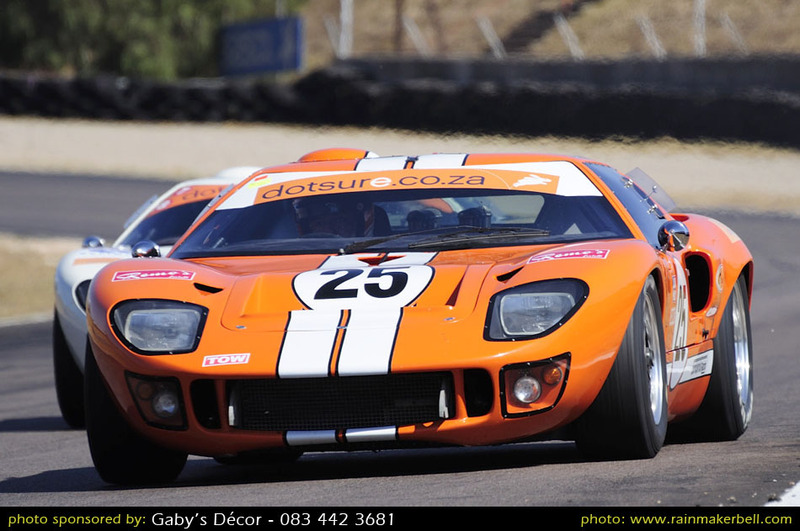 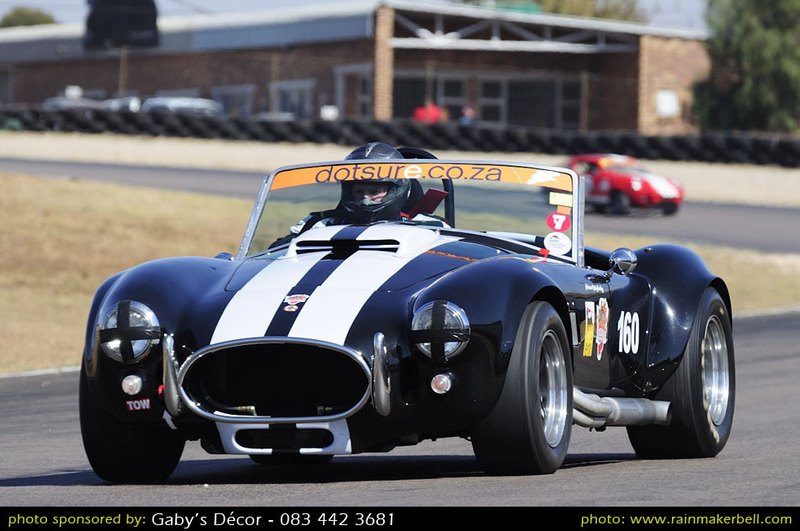 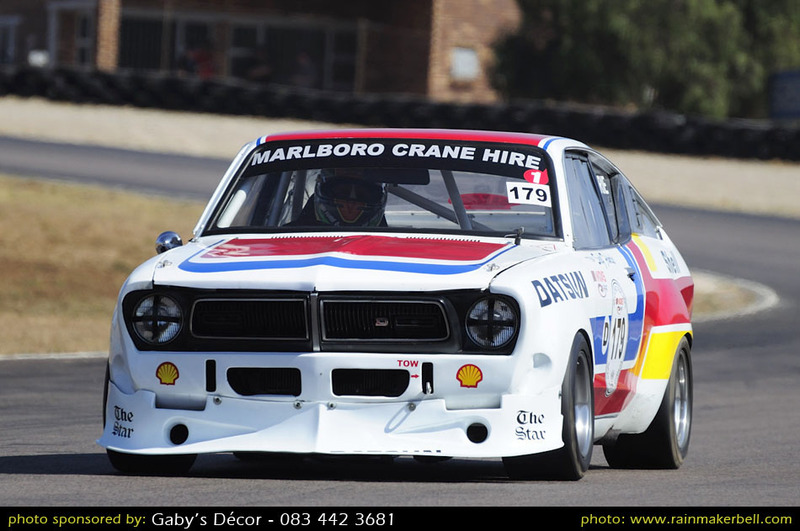 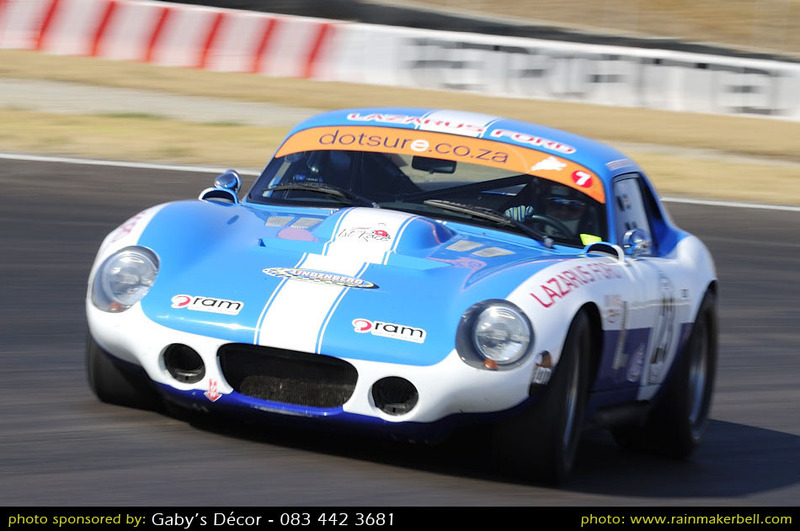 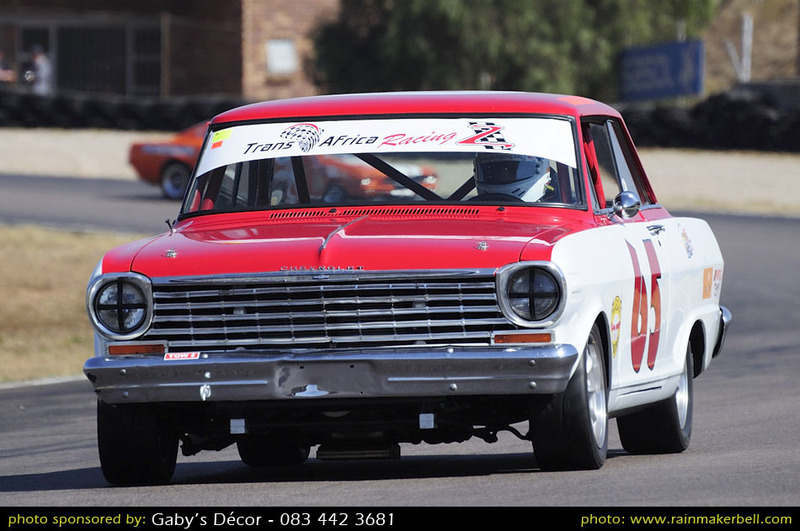 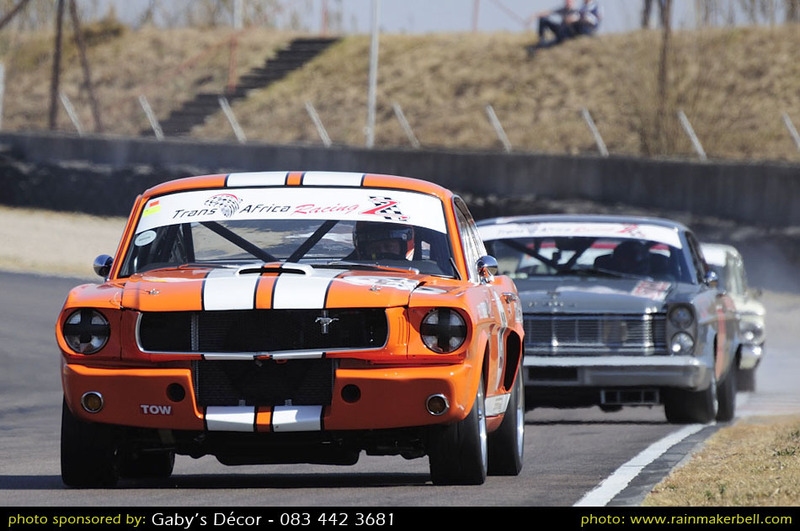 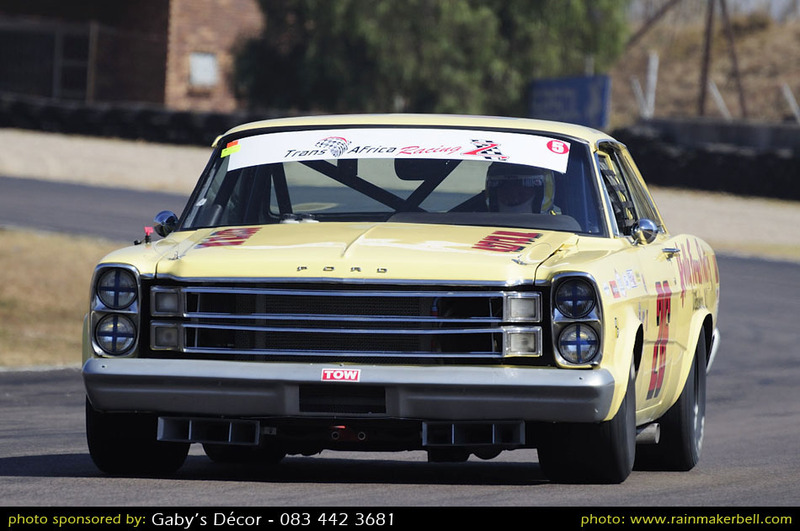 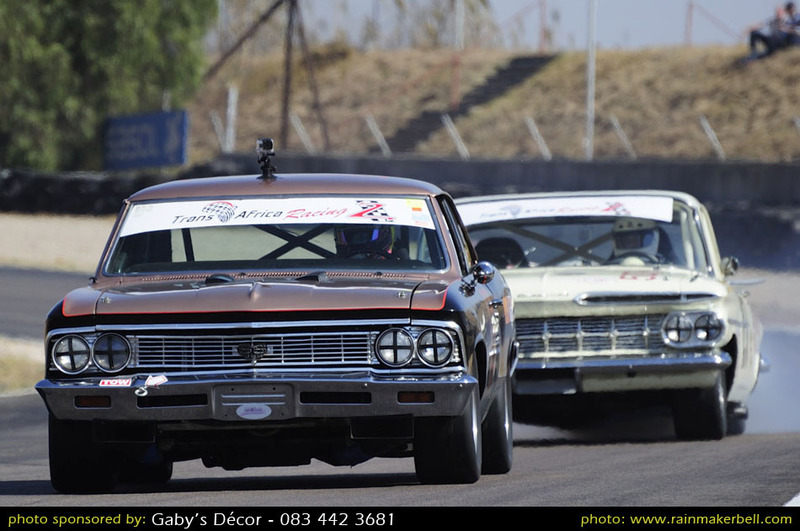 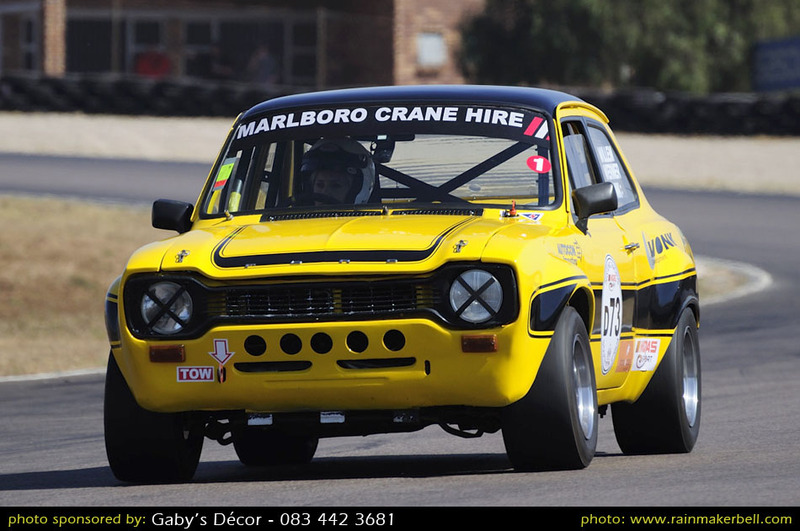 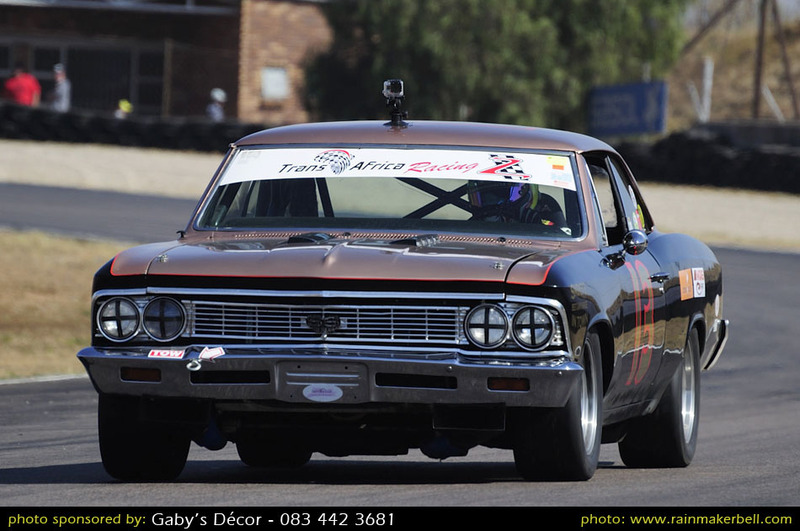 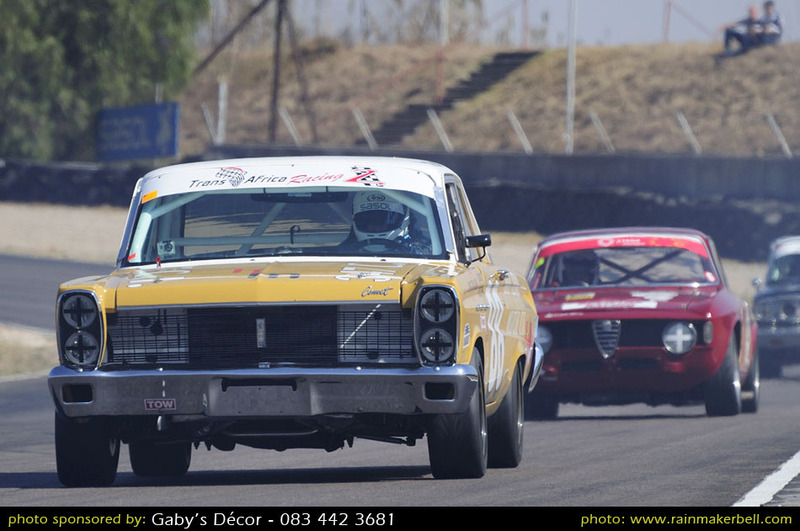 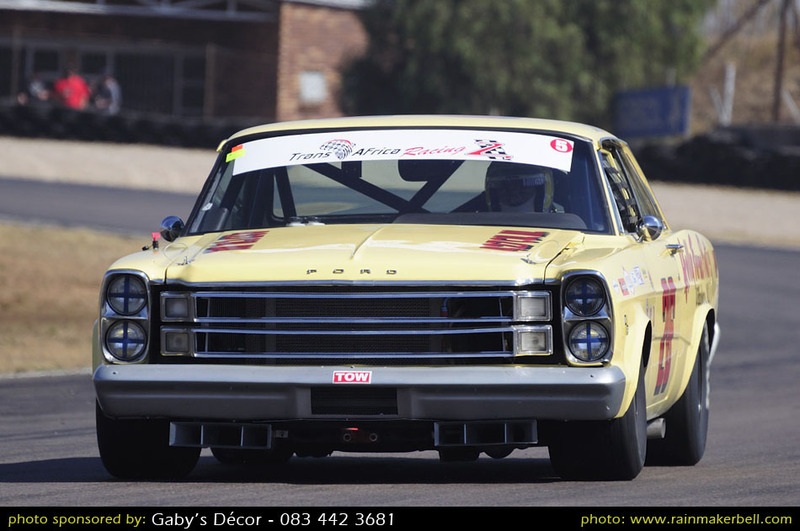 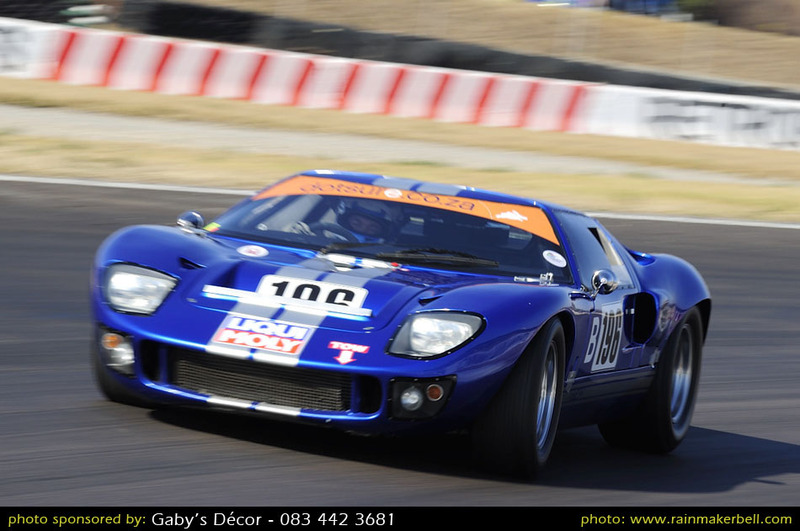 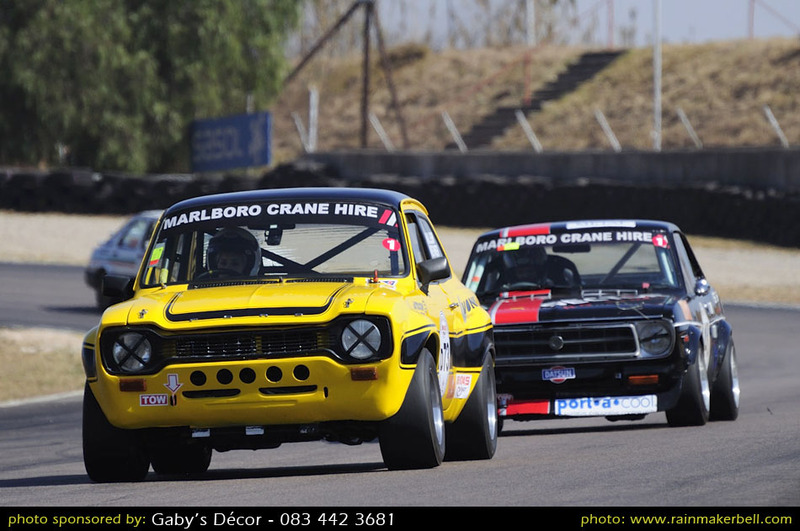 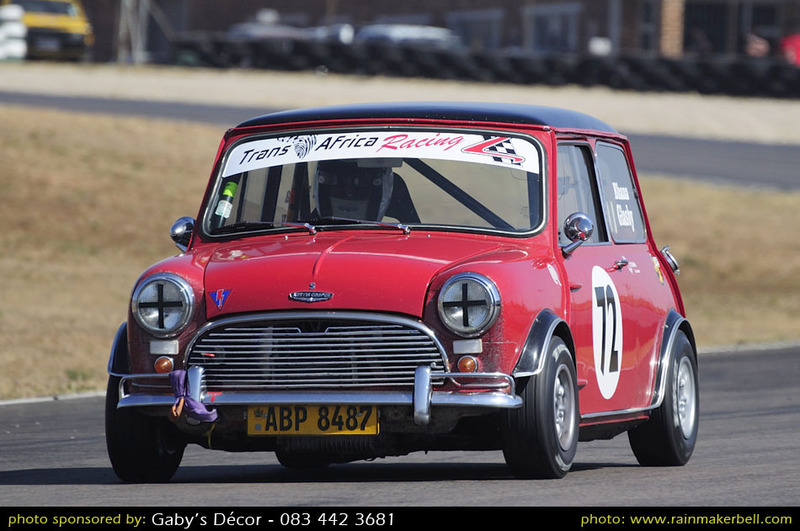 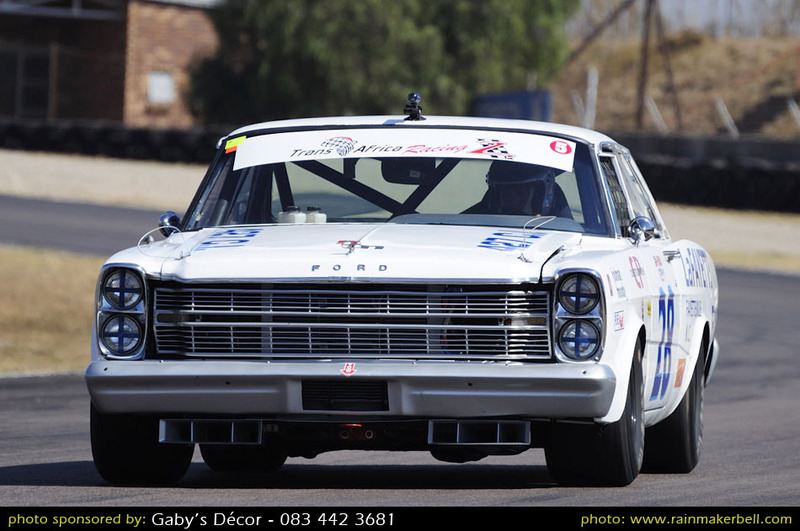 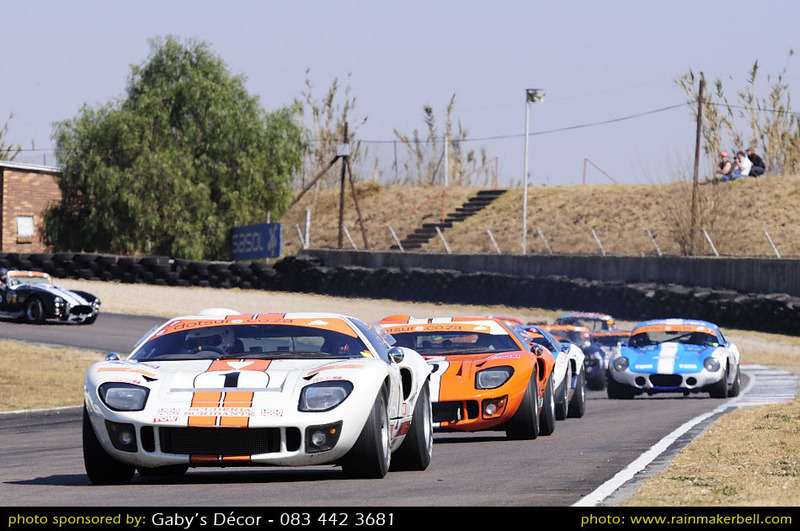 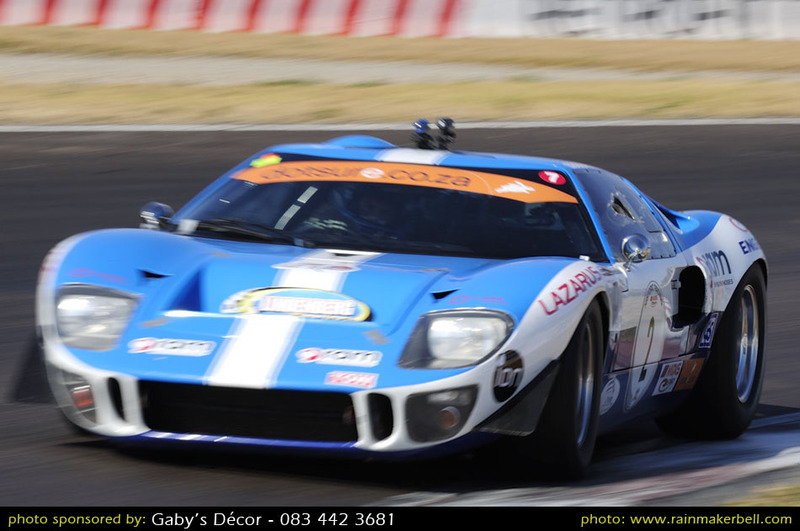 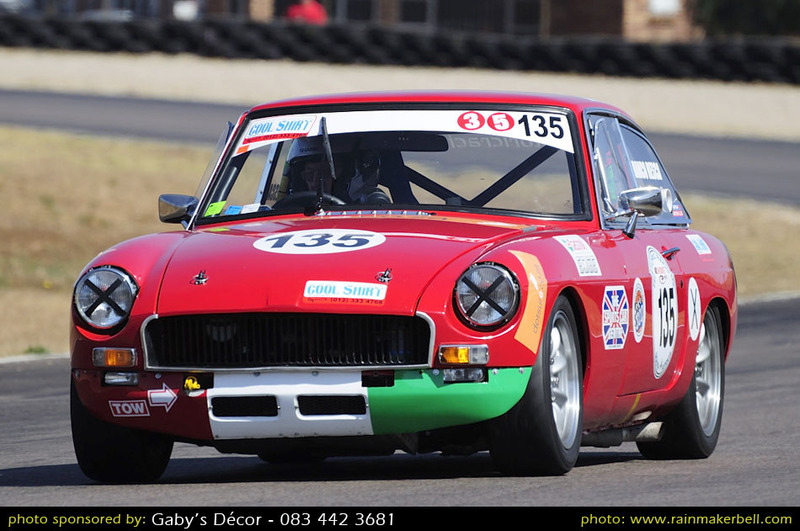 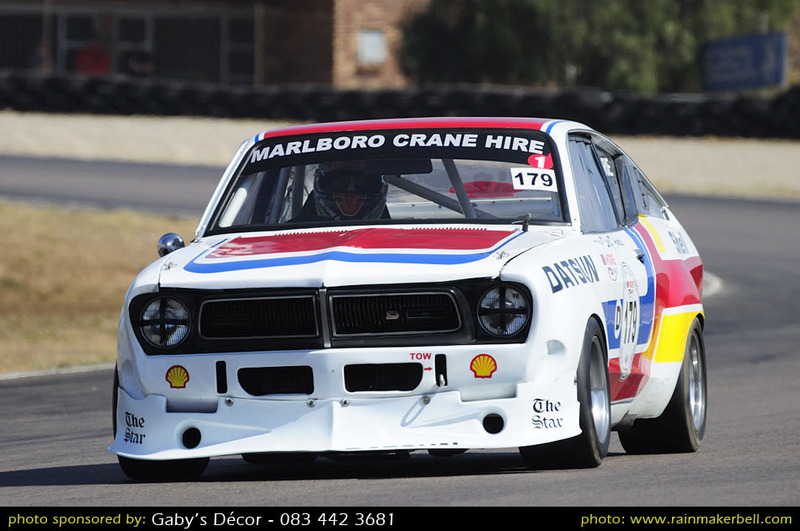 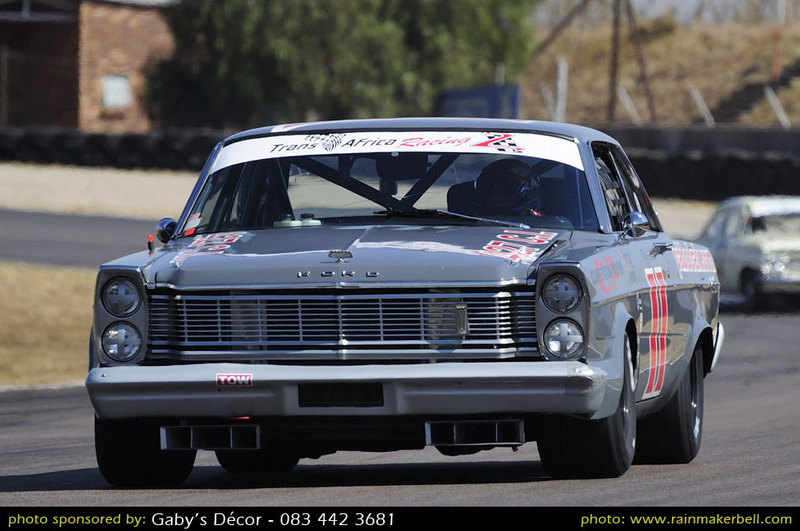 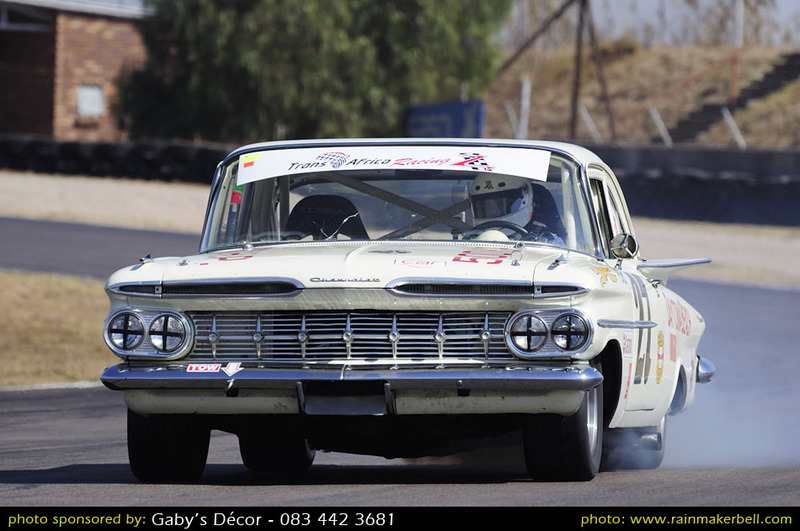 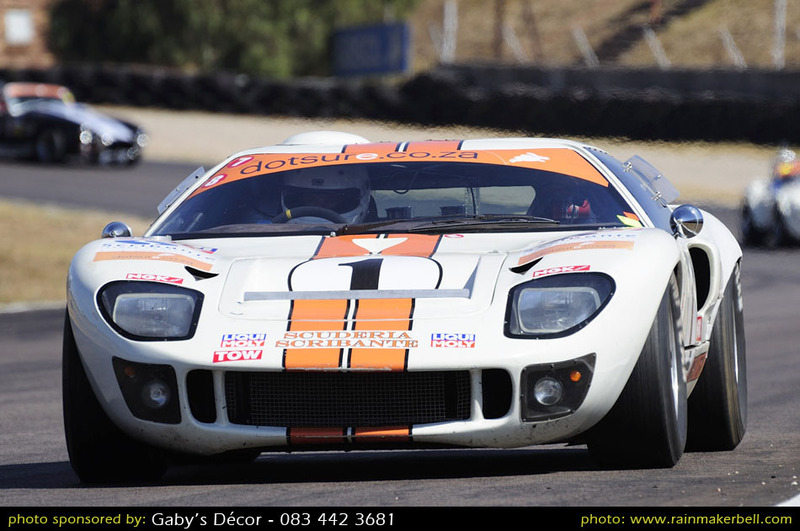 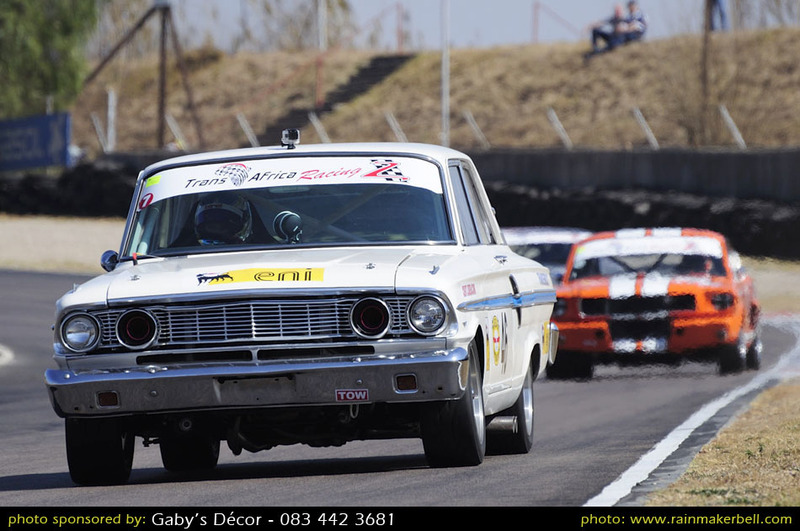 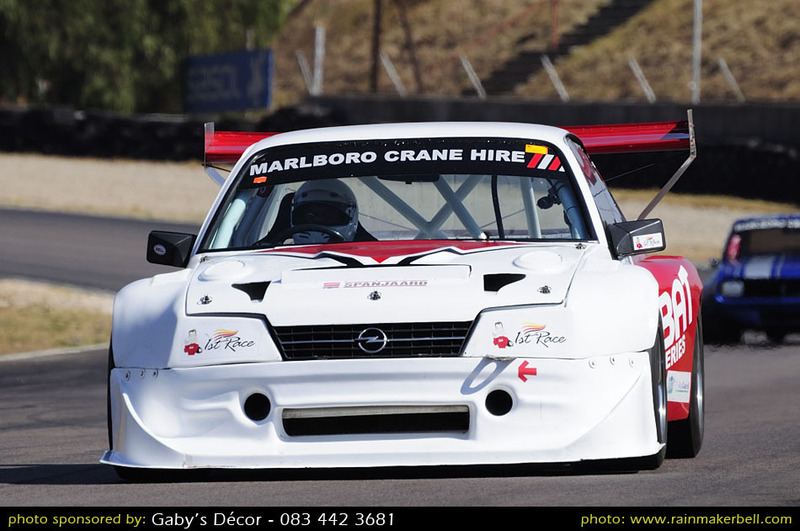 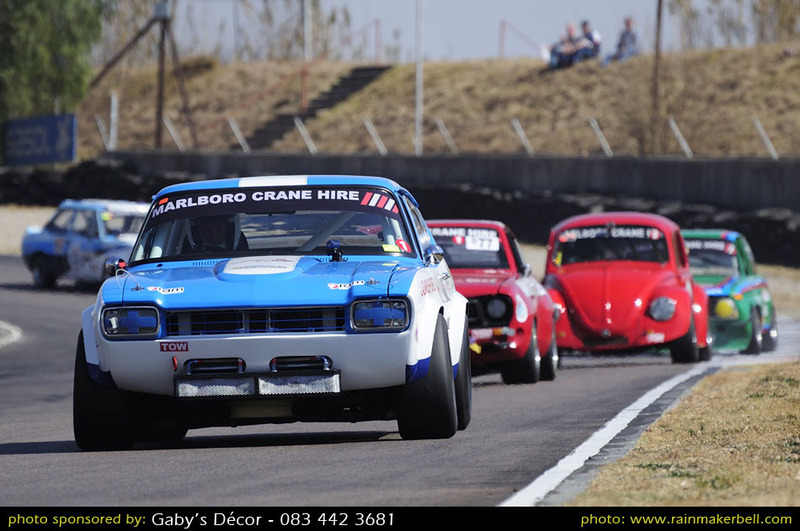 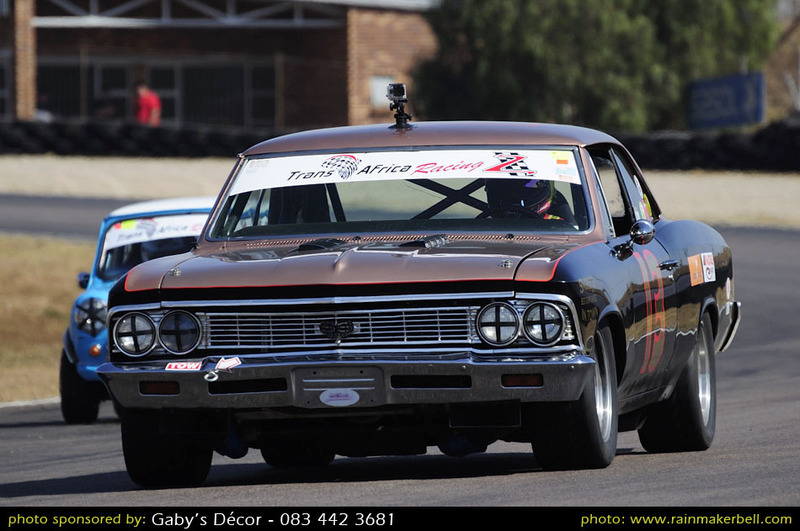 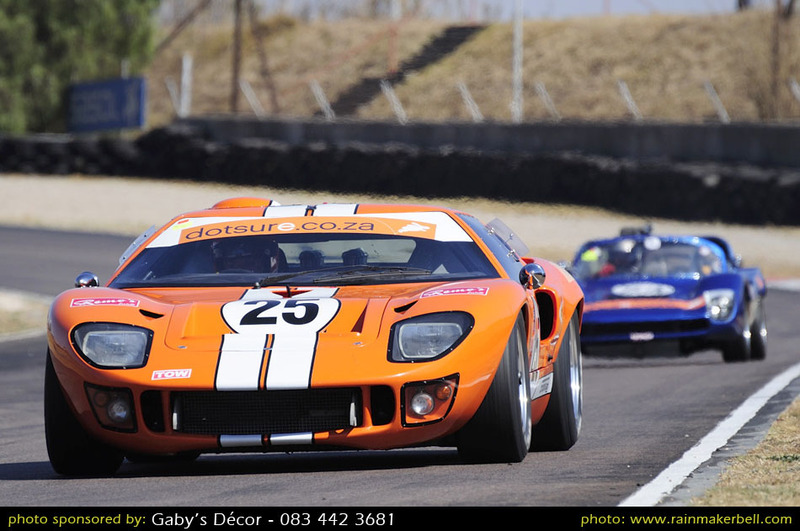 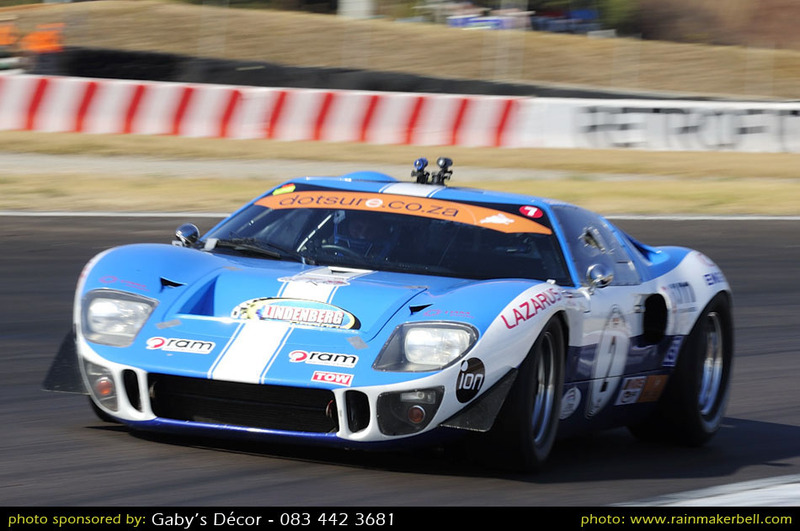 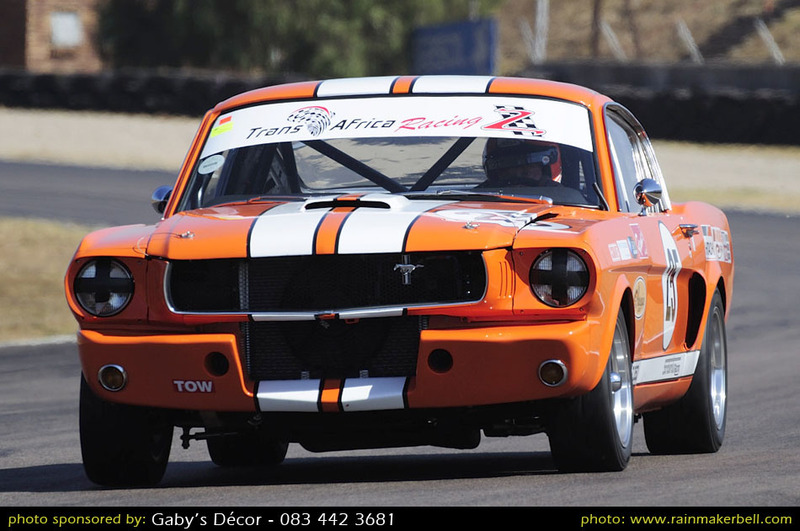 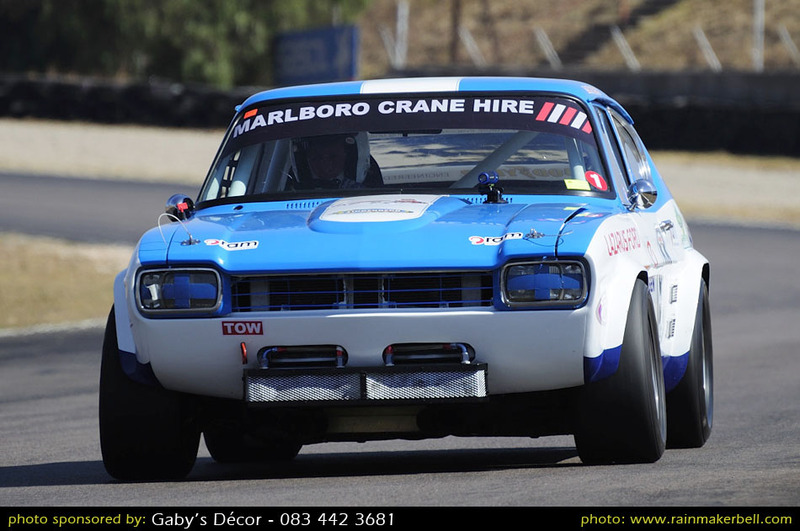 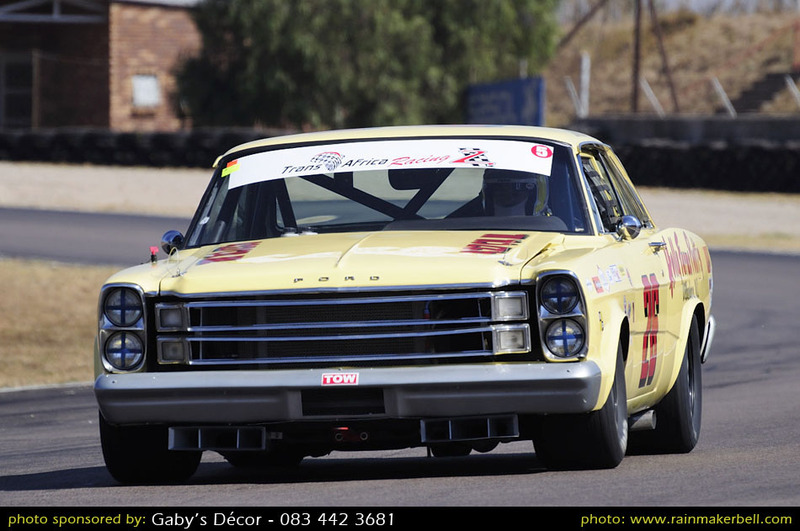 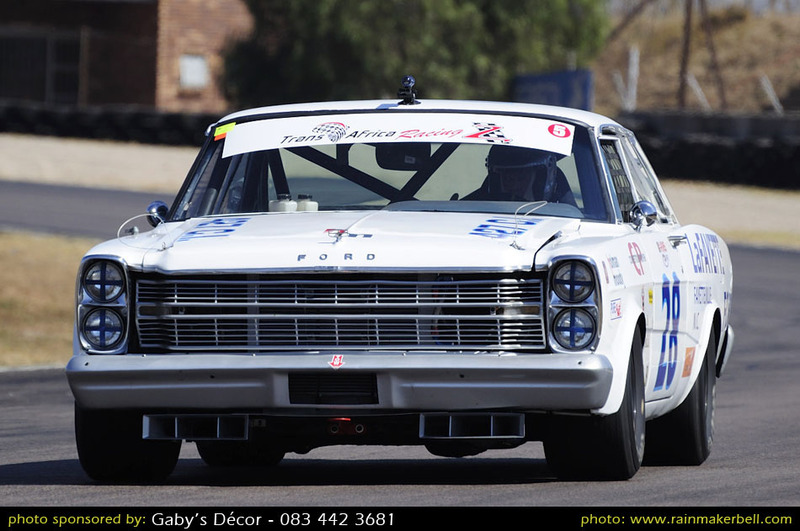 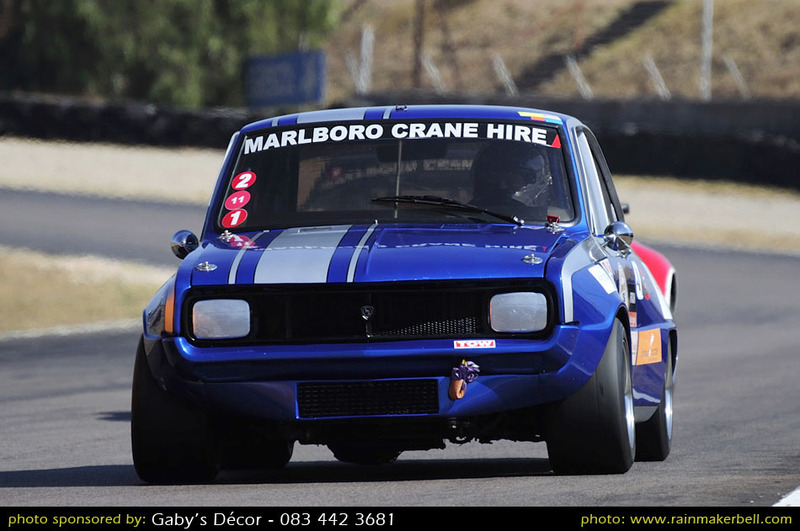 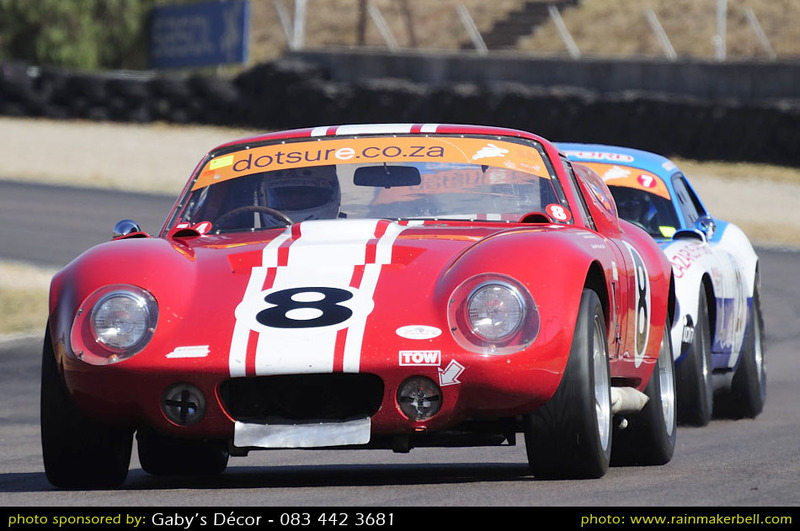 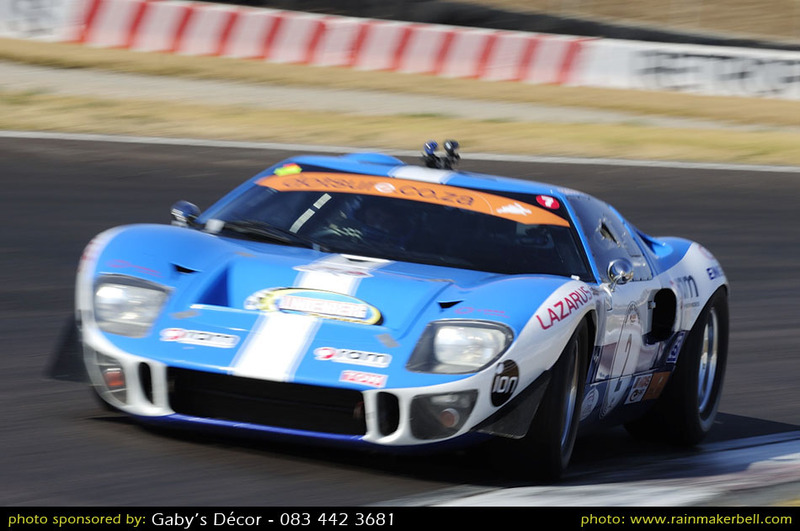 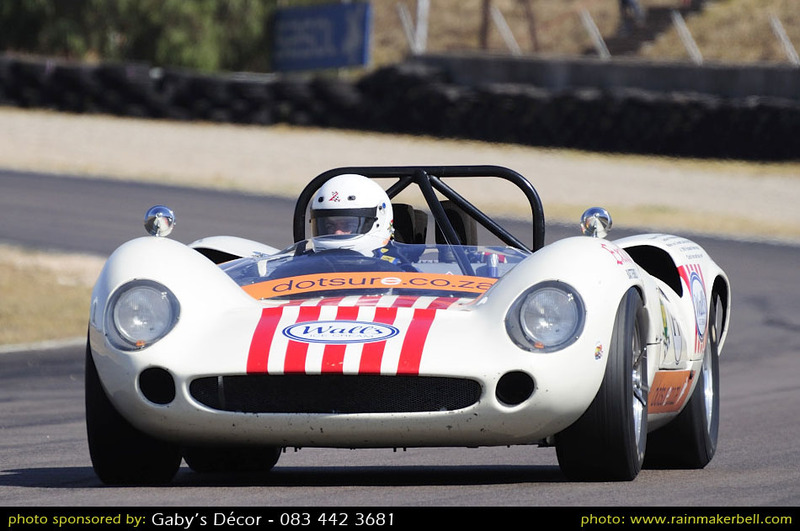 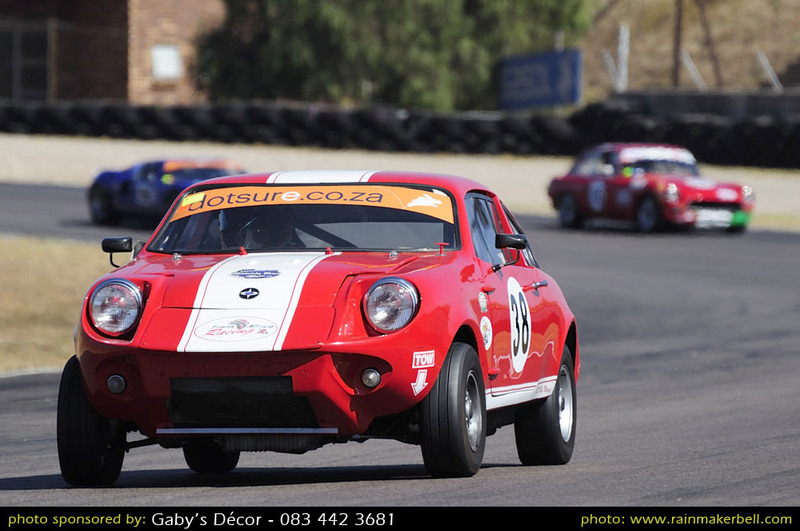 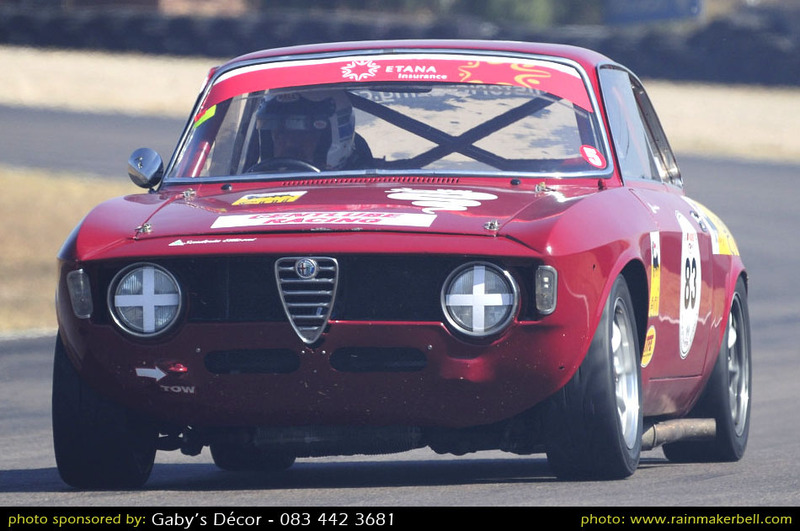 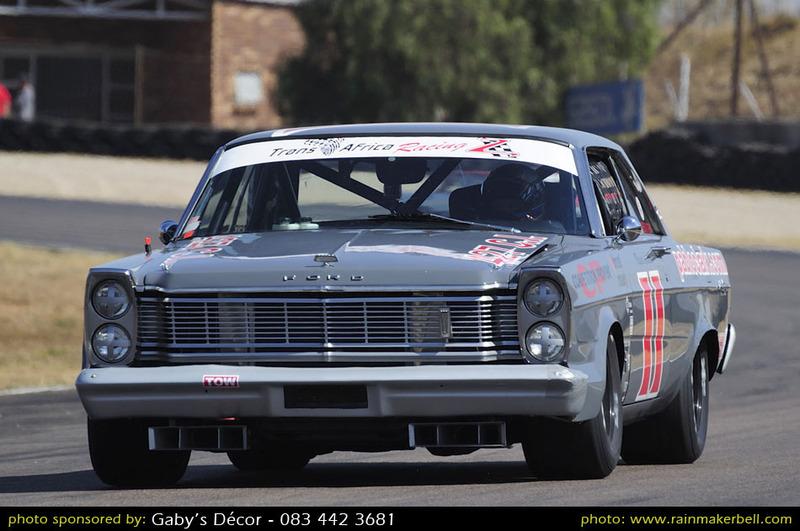 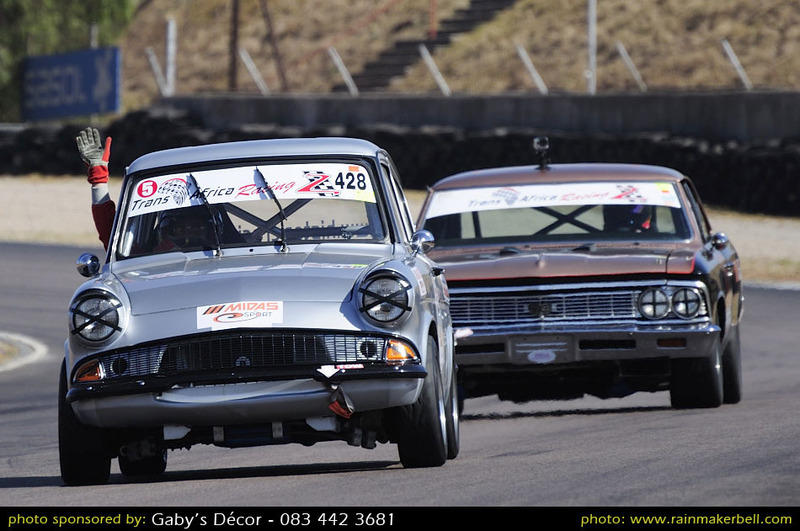 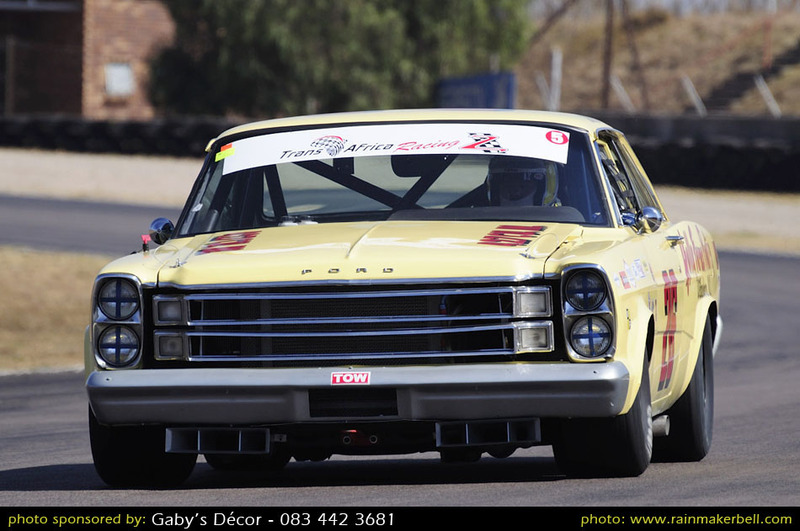 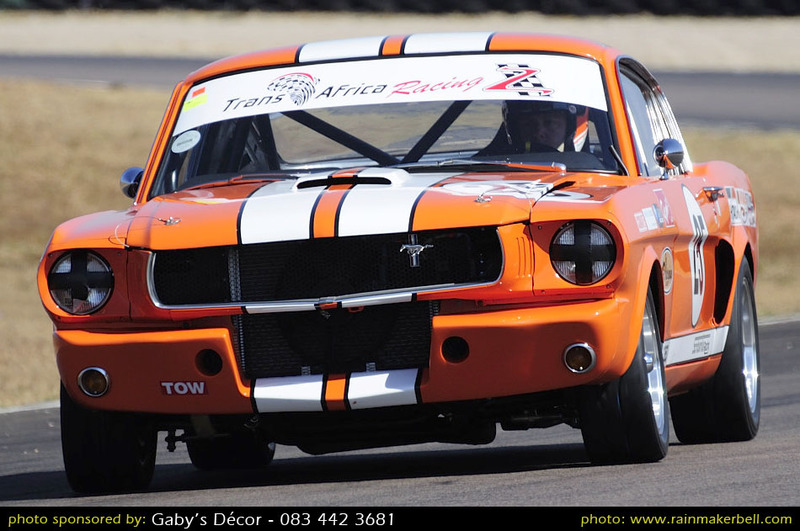 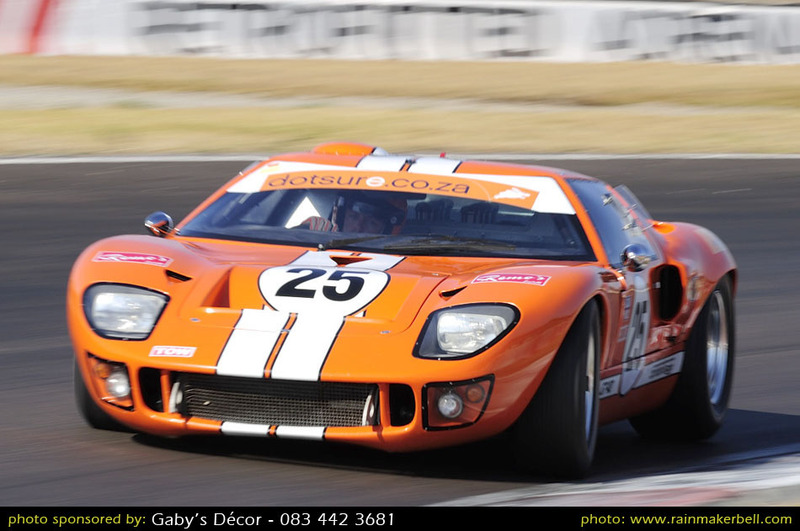 The Midas historic tour is still one of the prominent race genres, which attract a lot of race cars and motorsport enthusiasts. 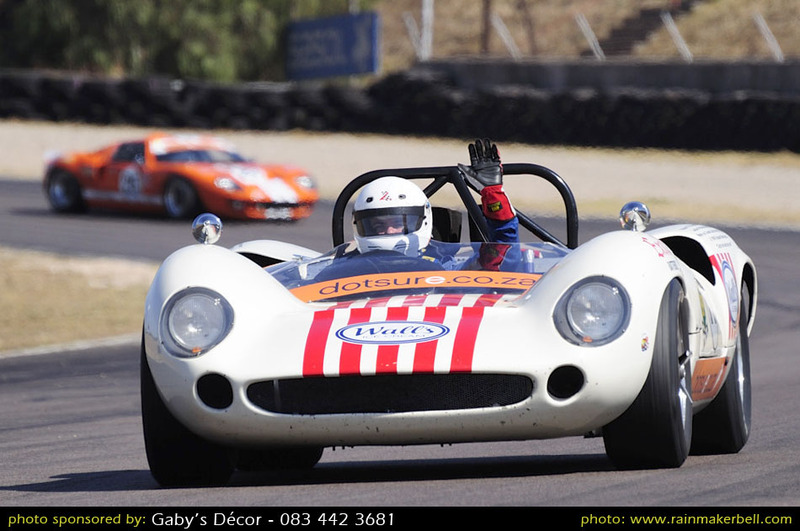 The day was as organised as a Swiss time piece; ticking away without too serious incidents or accidents. 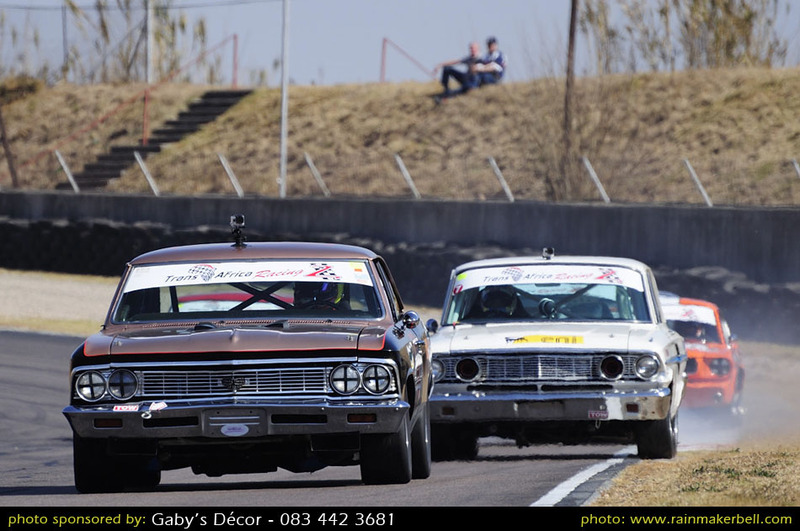 In motorsport there are two kinds of fires: the outside kind(? 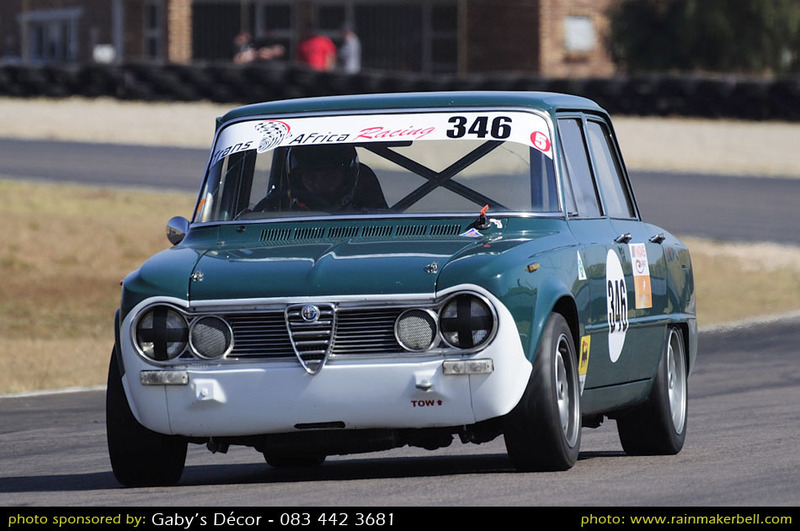 ); and the inside kind. 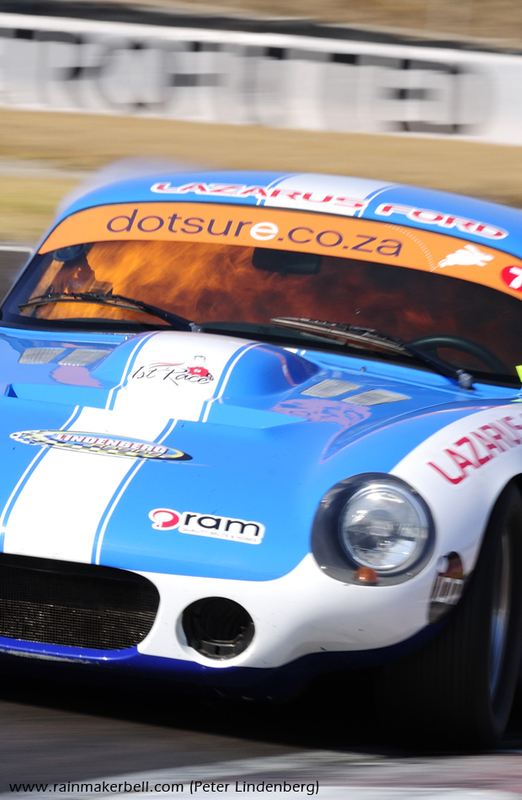 Flamed grilled, always tastes better.